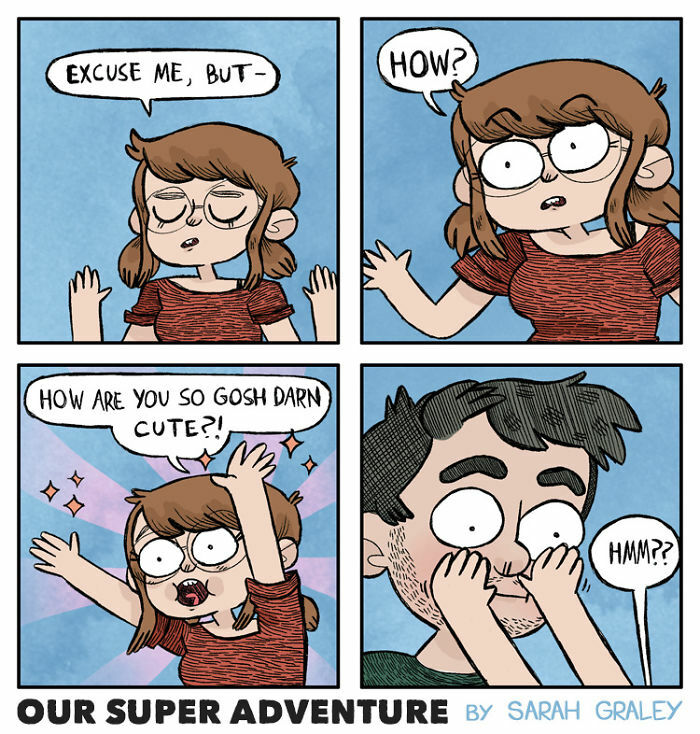 After you build a foundation with someone and spend a good amount of time getting to know each other, you realize that your everyday life can be just as romantic as that concert you flew to when started seeing each other. 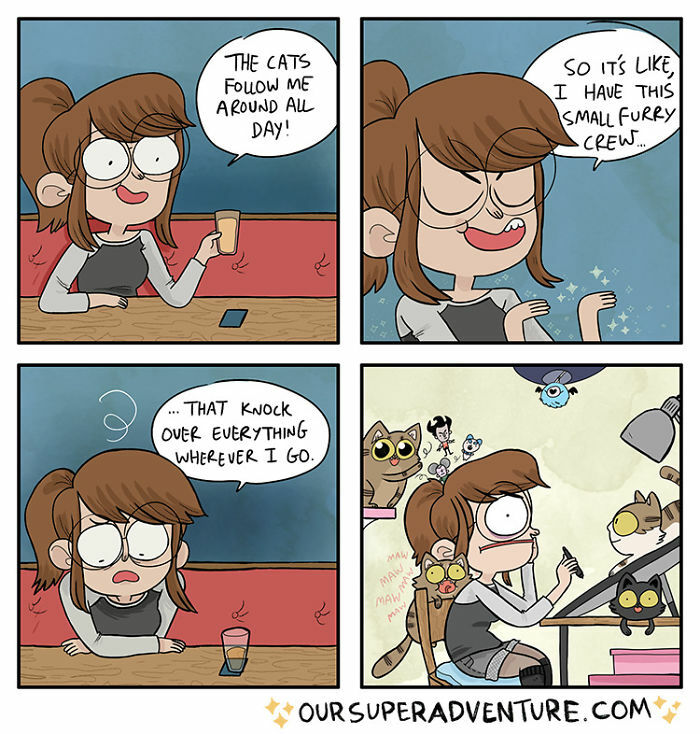 You just have to make the most of it. 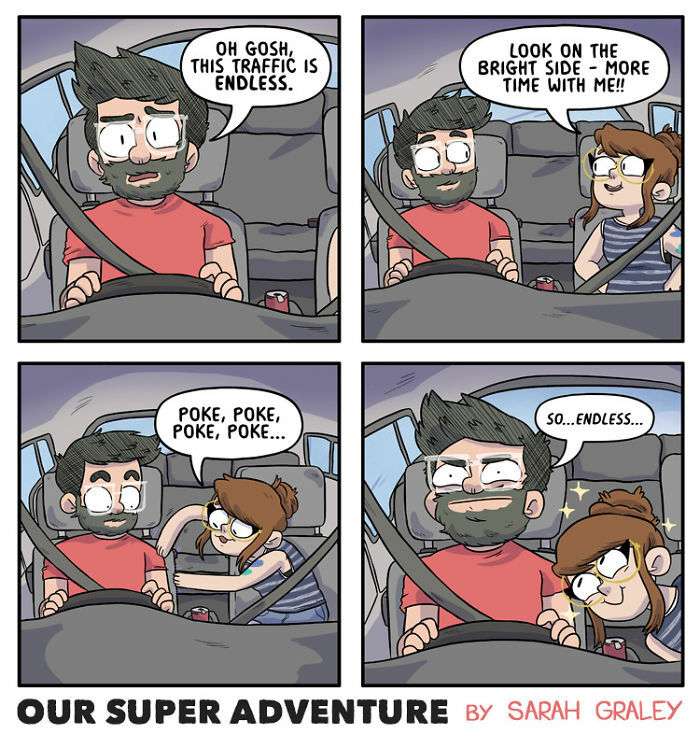 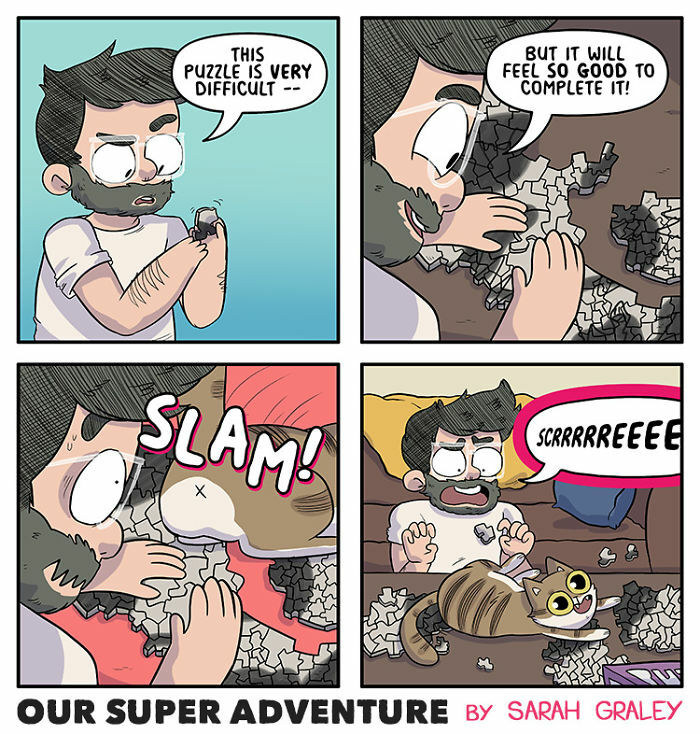 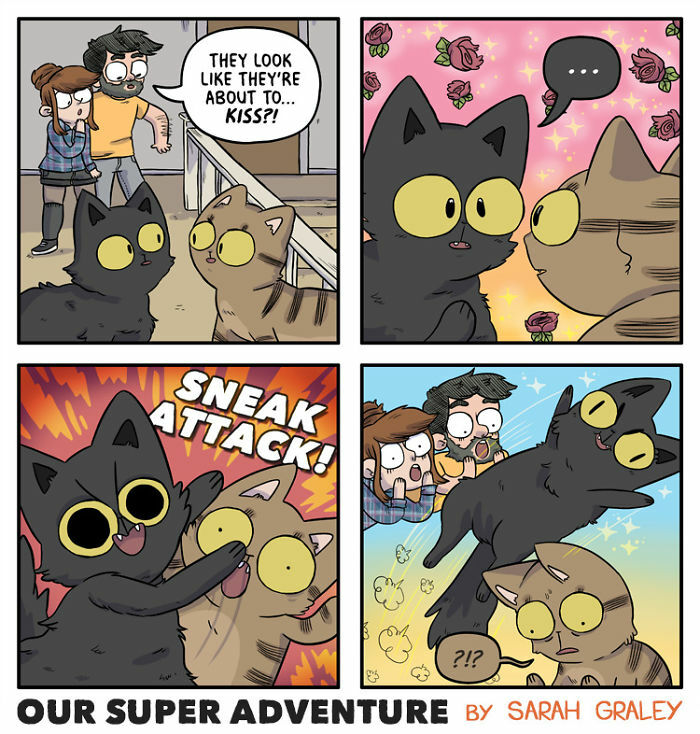 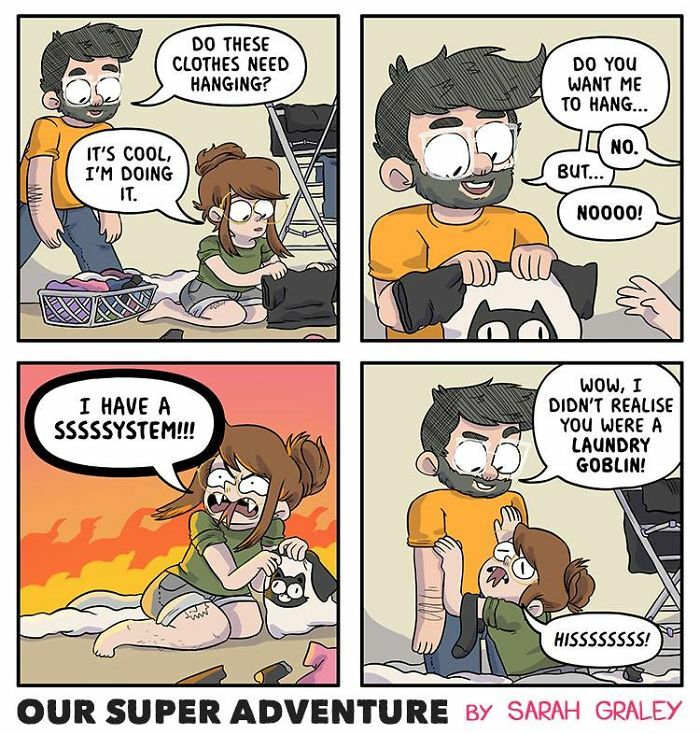 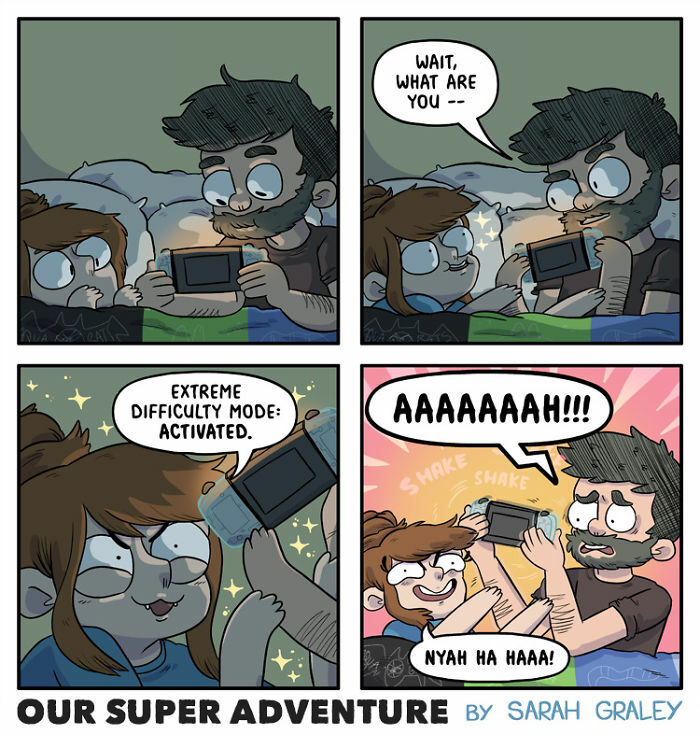 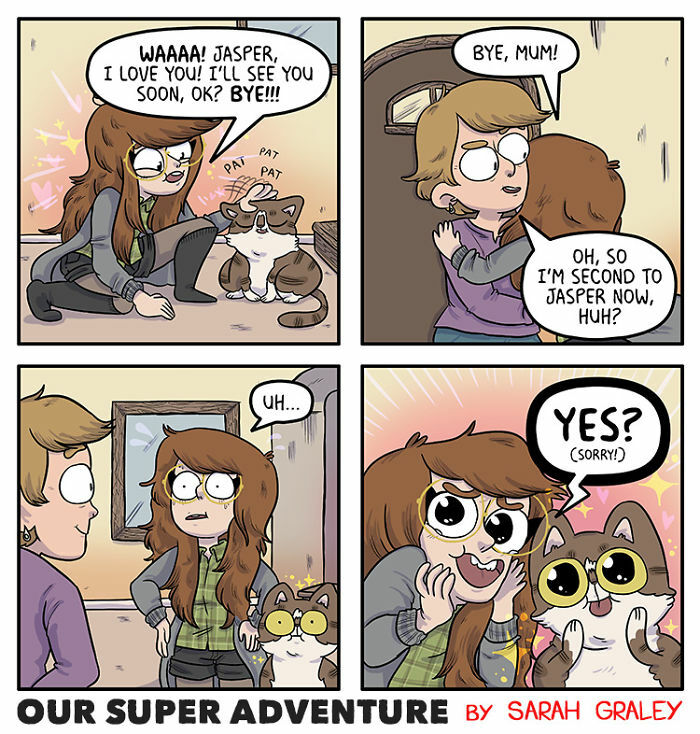 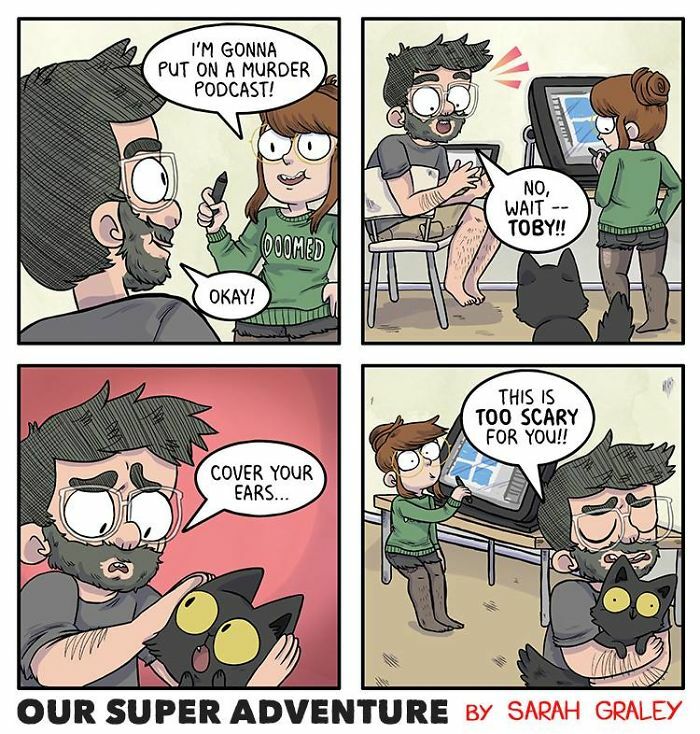 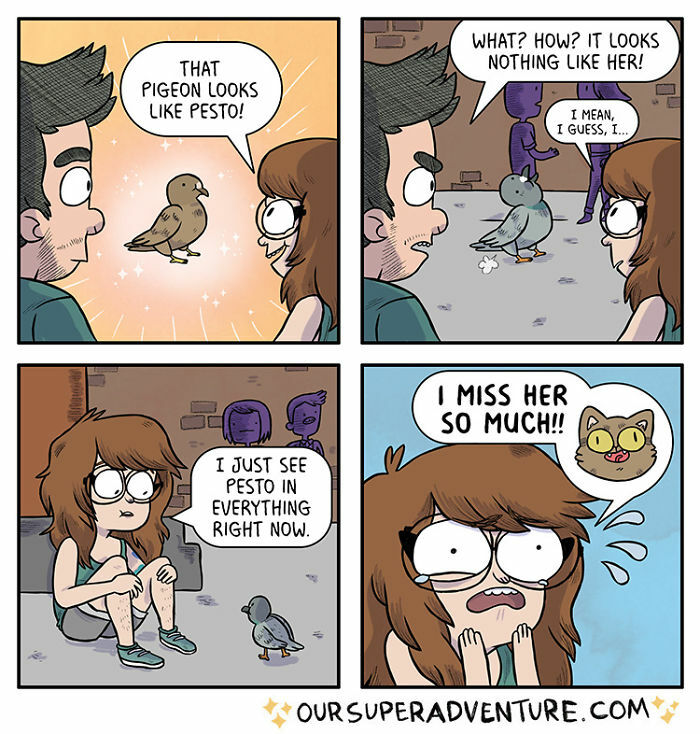 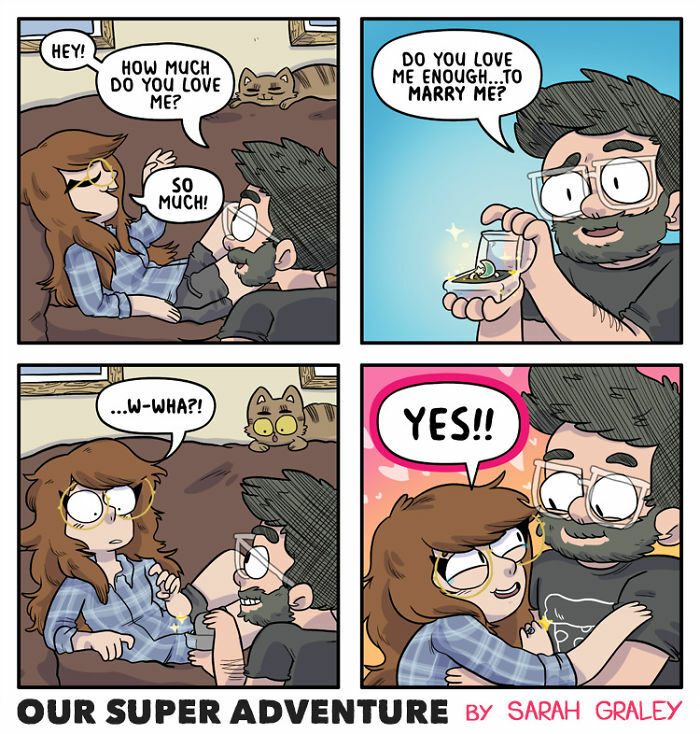 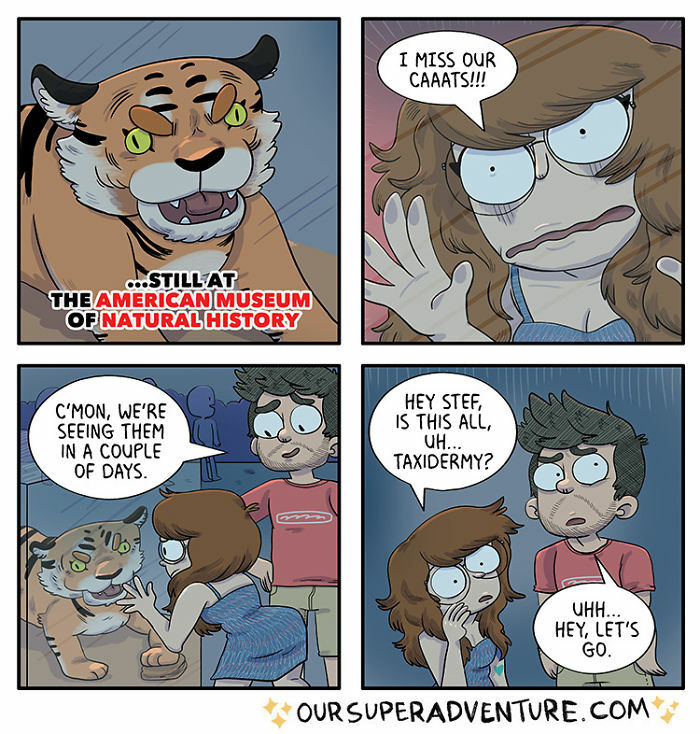 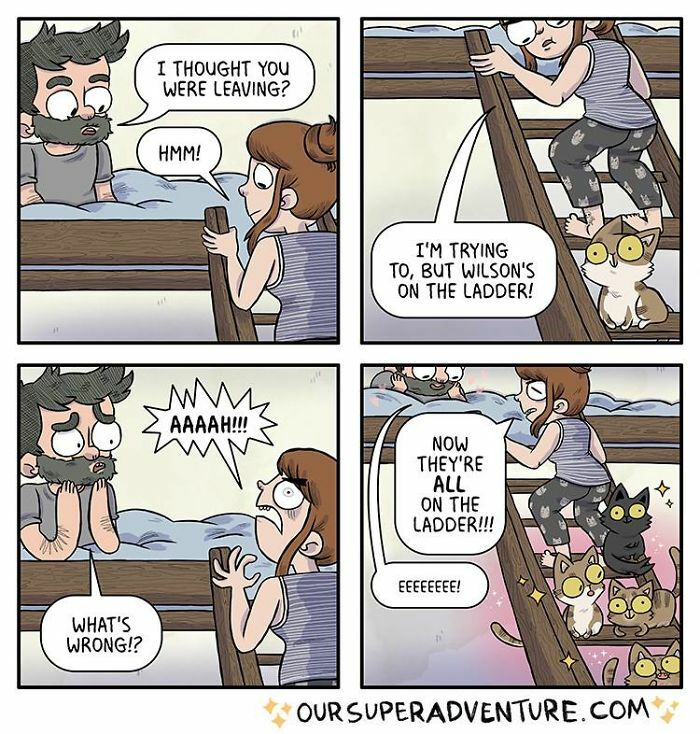 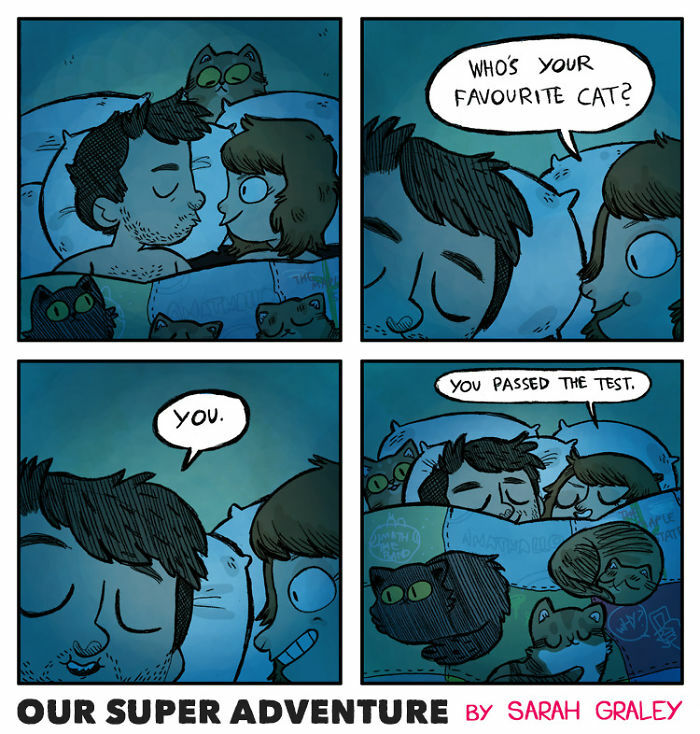 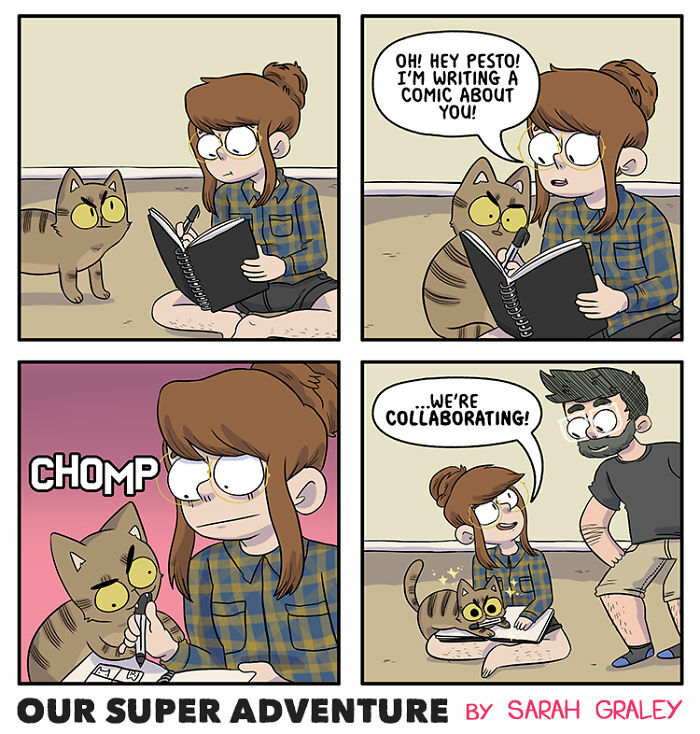 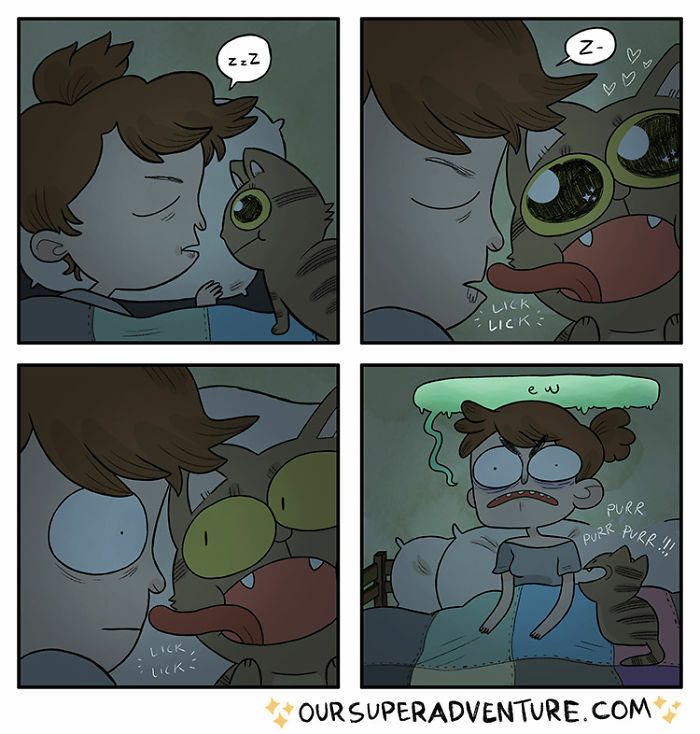 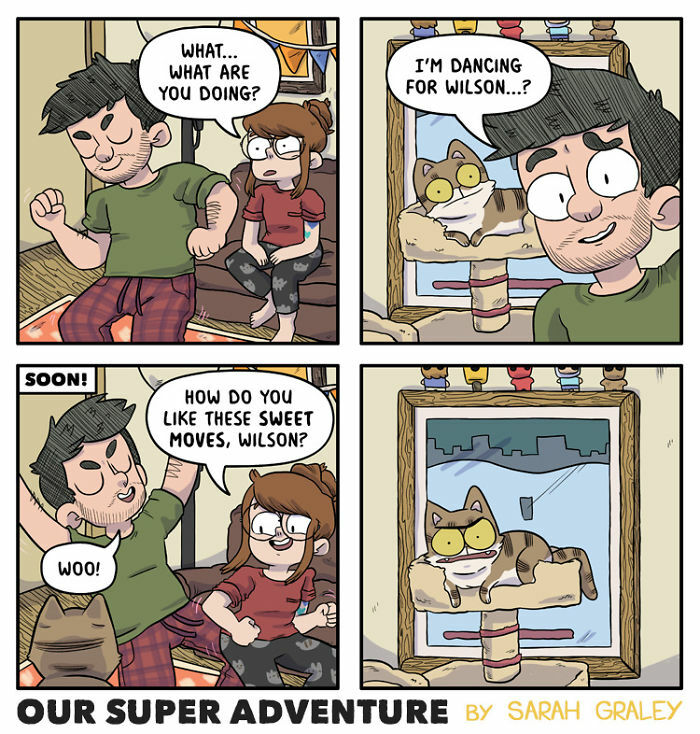 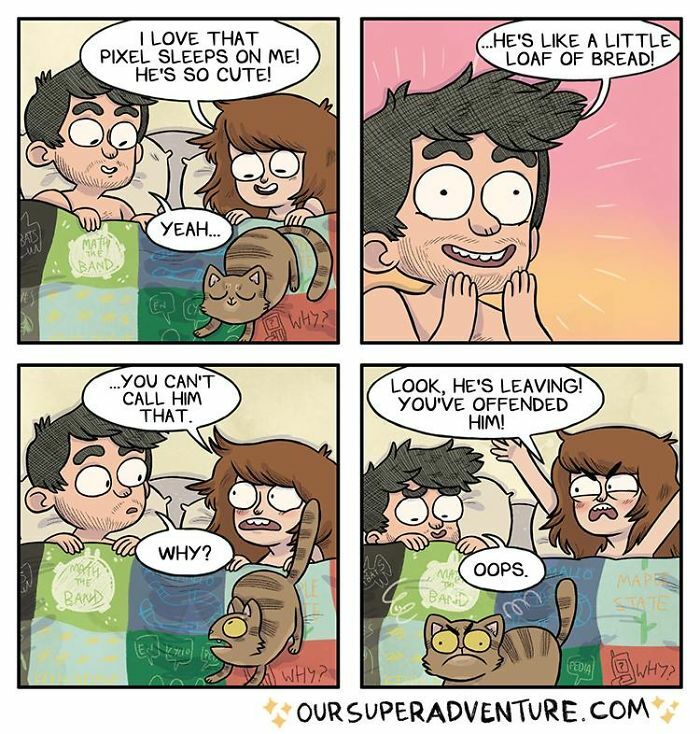 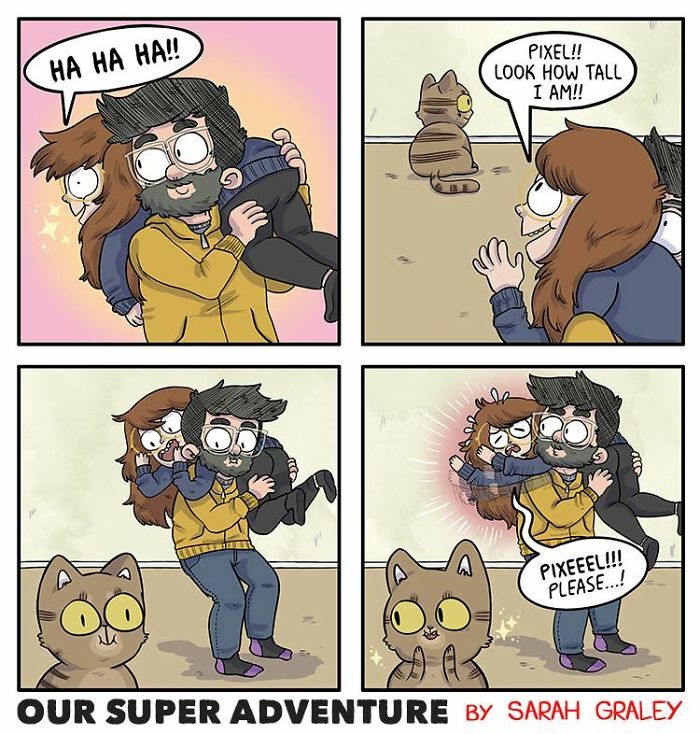 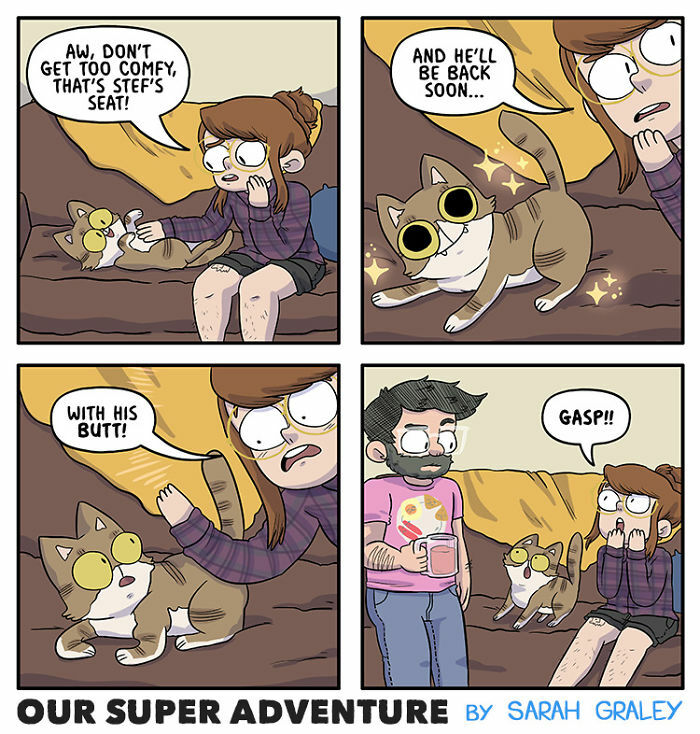 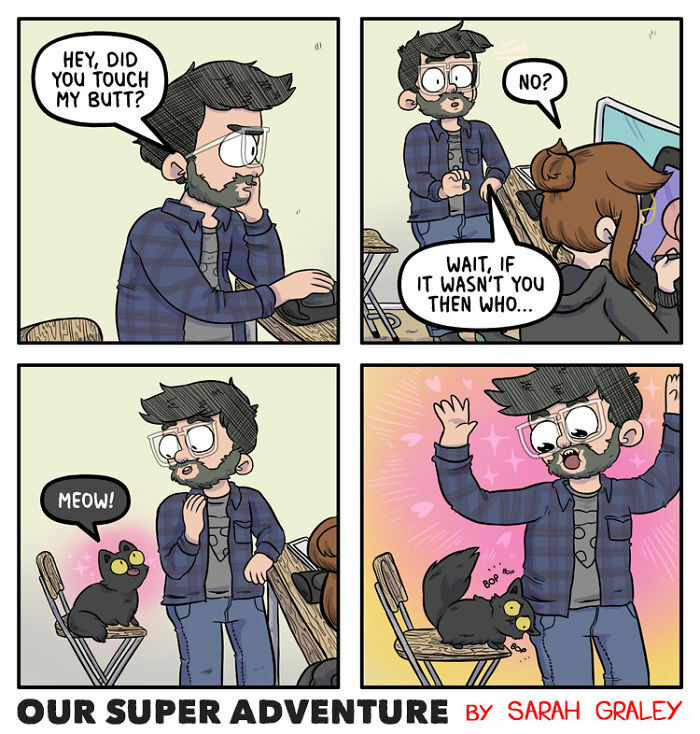 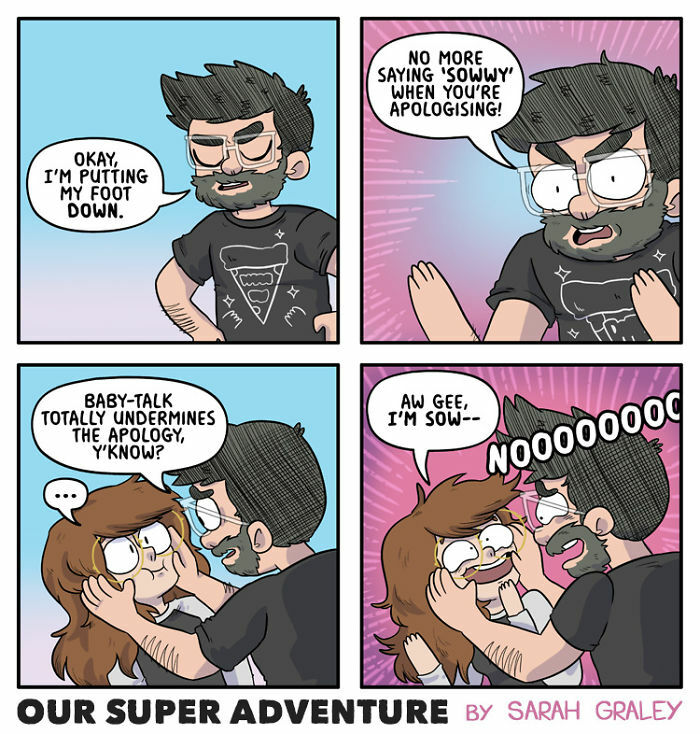 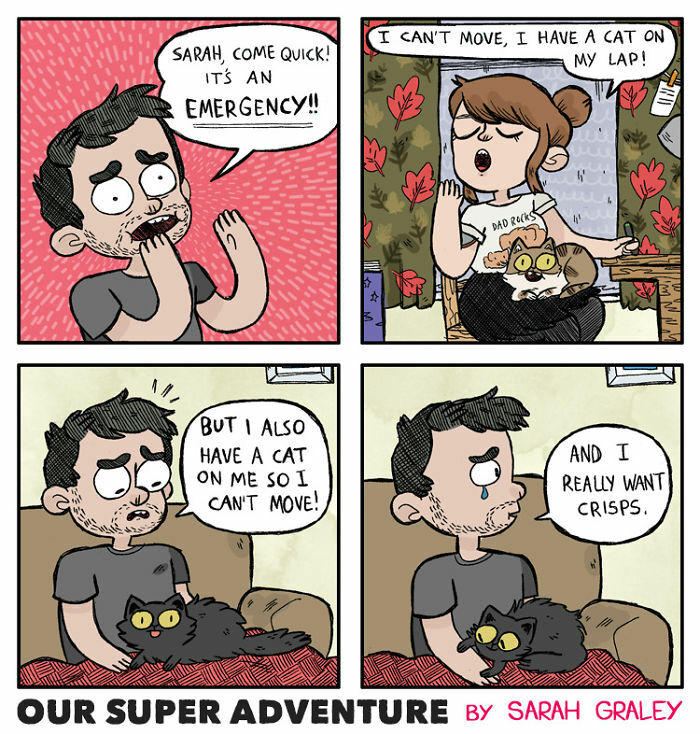 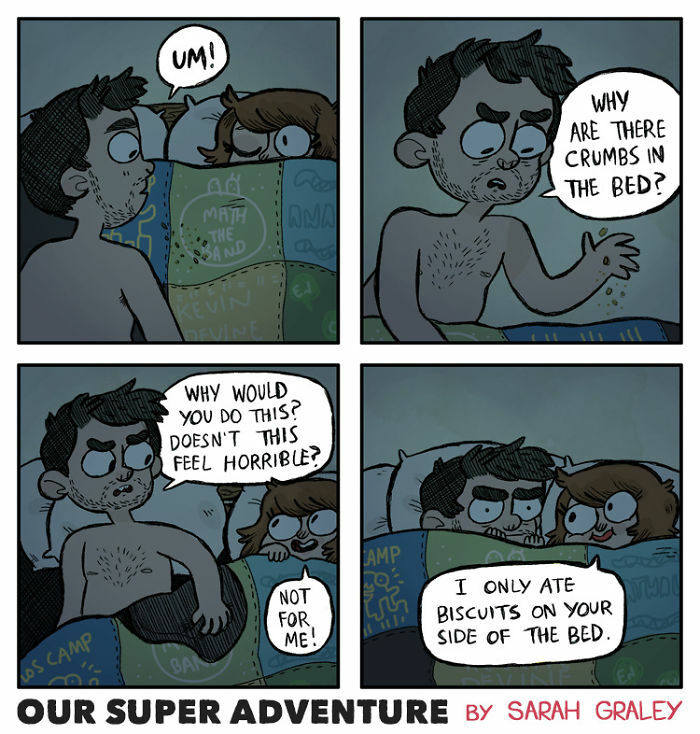 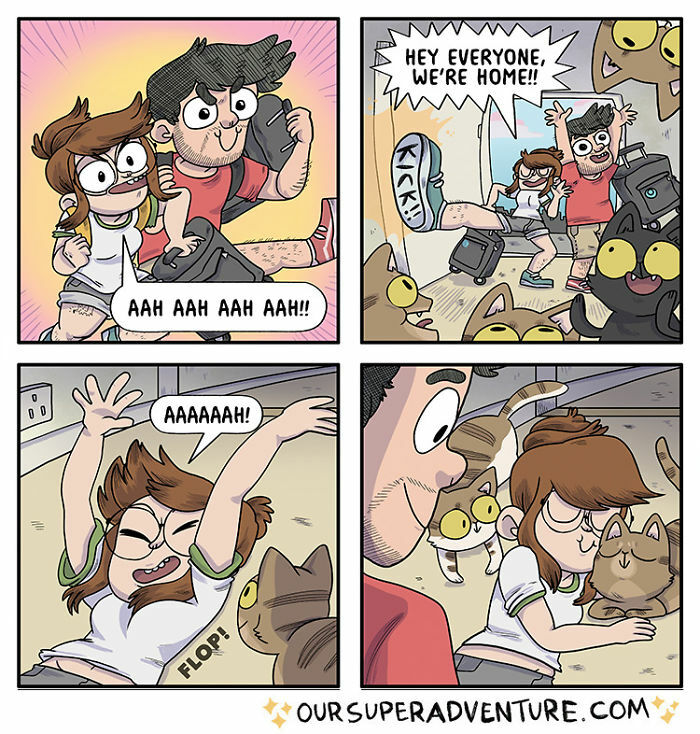 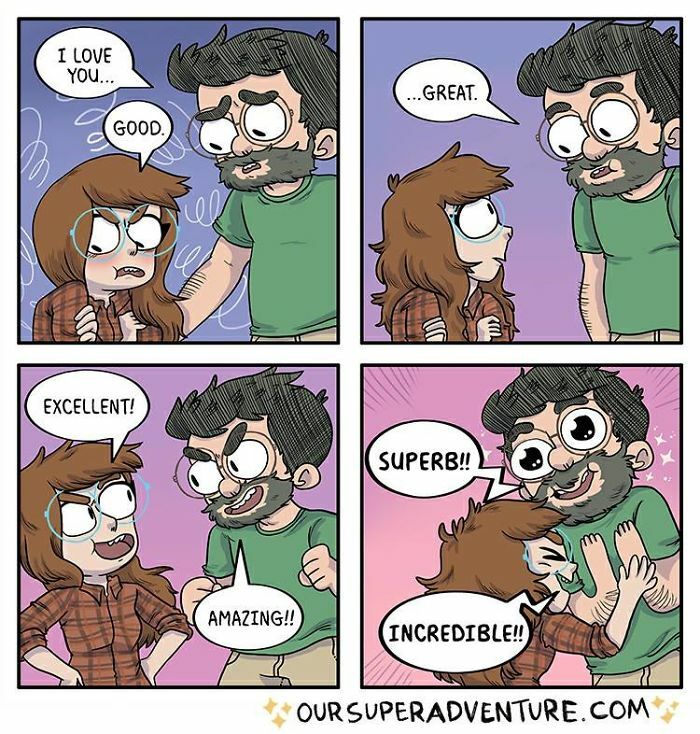 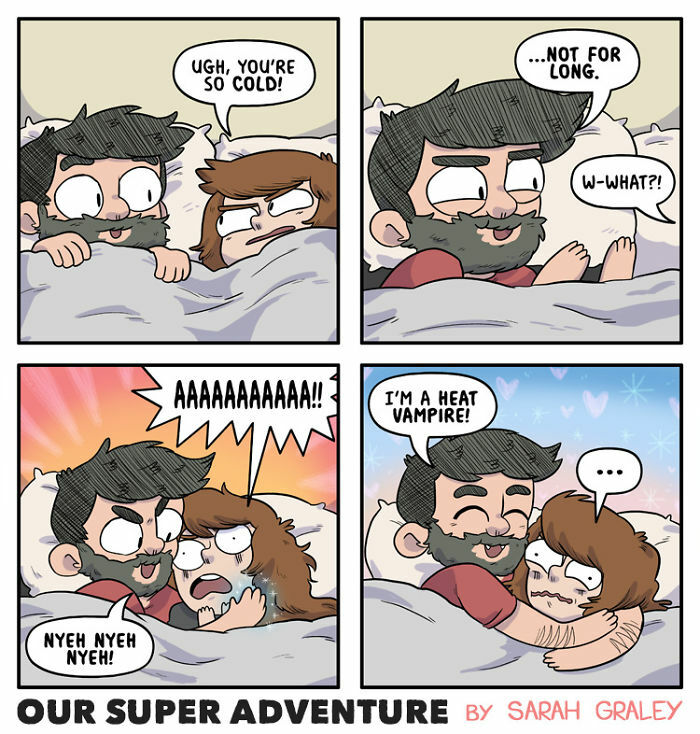 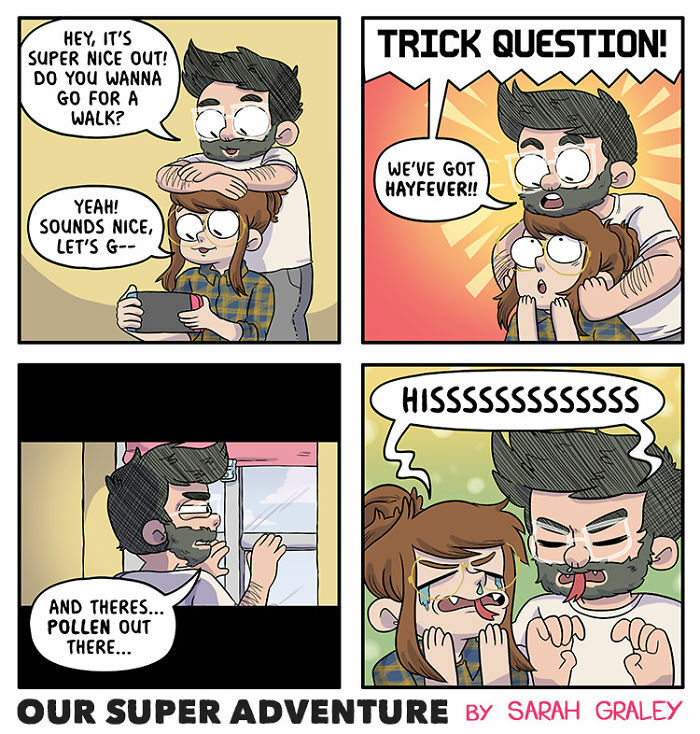 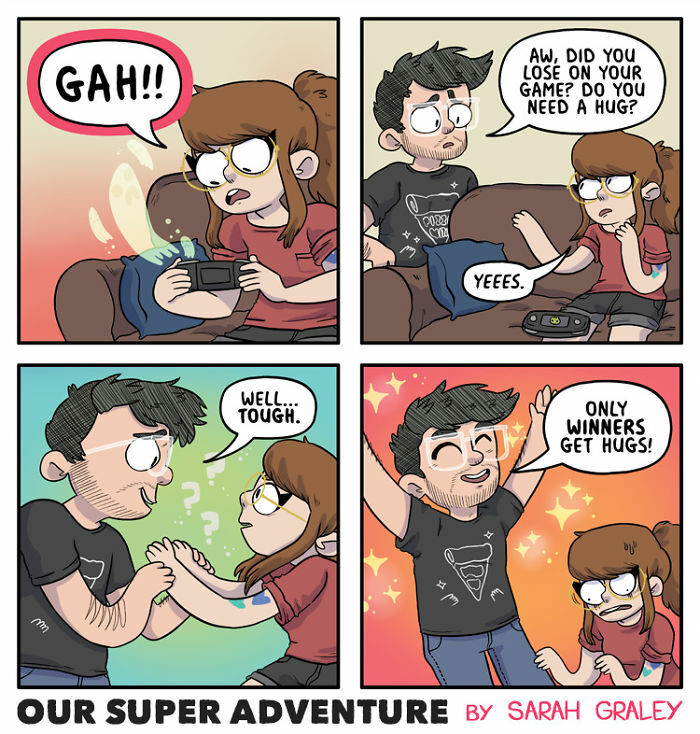 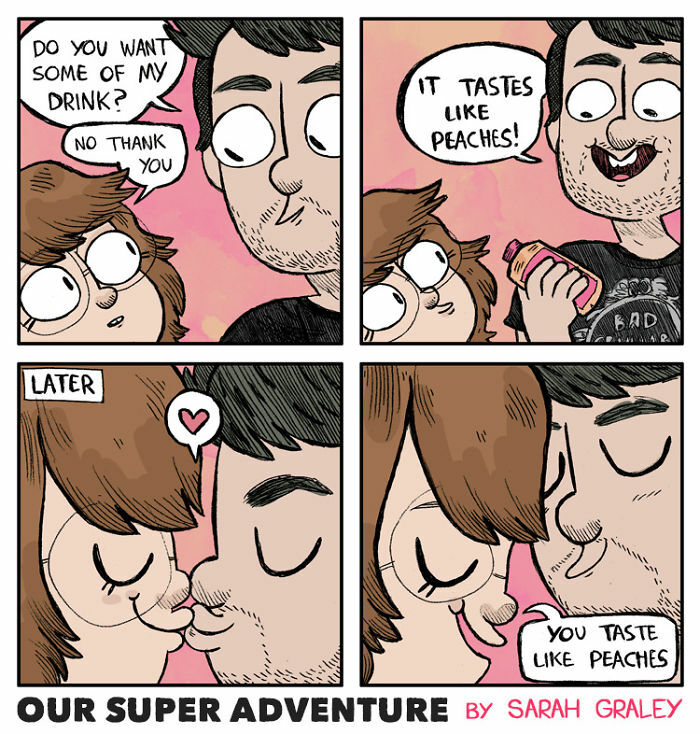 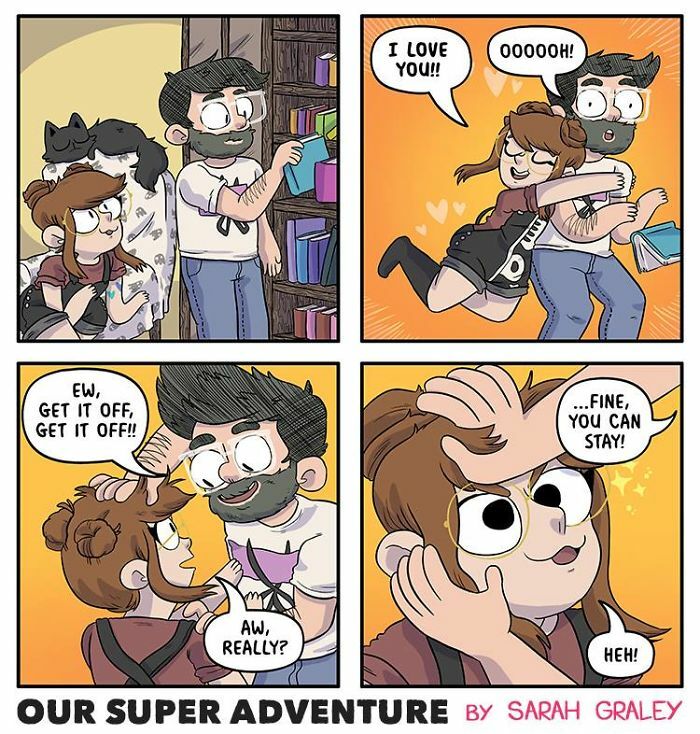 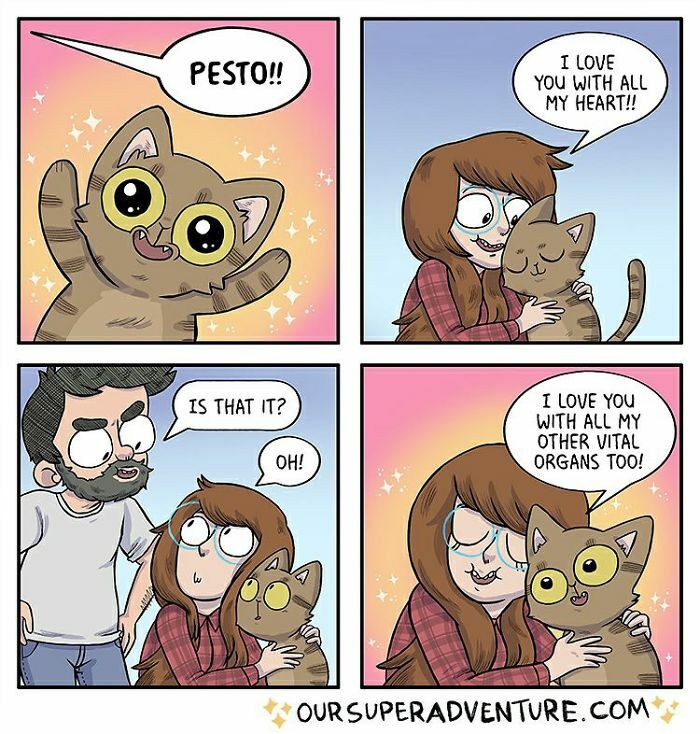 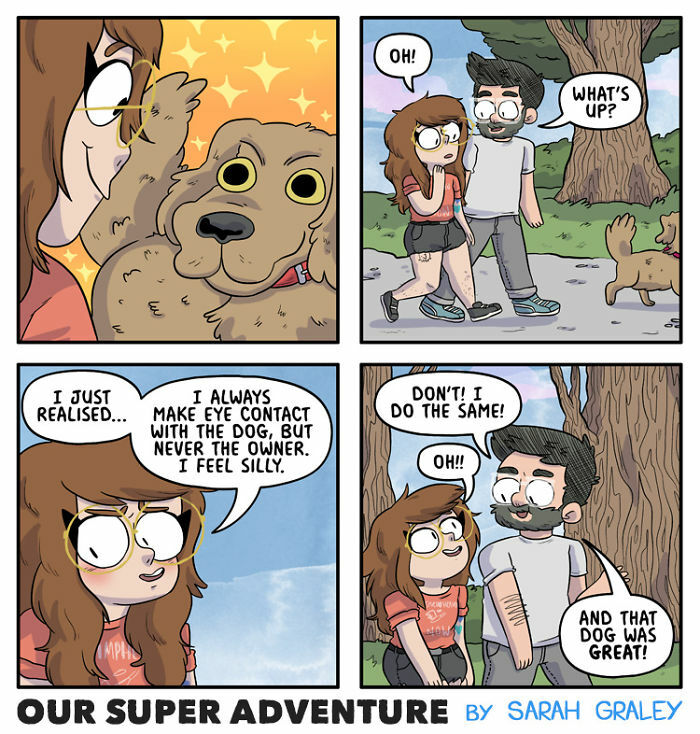 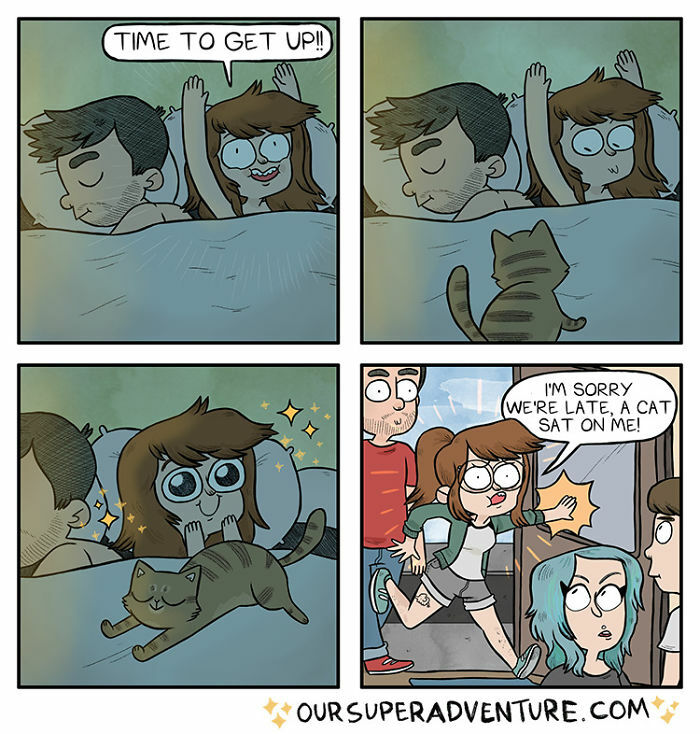 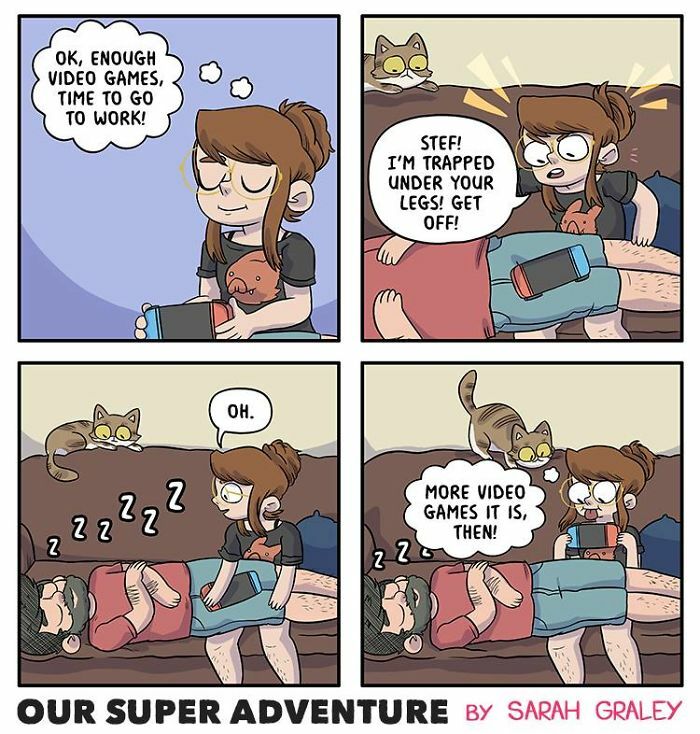 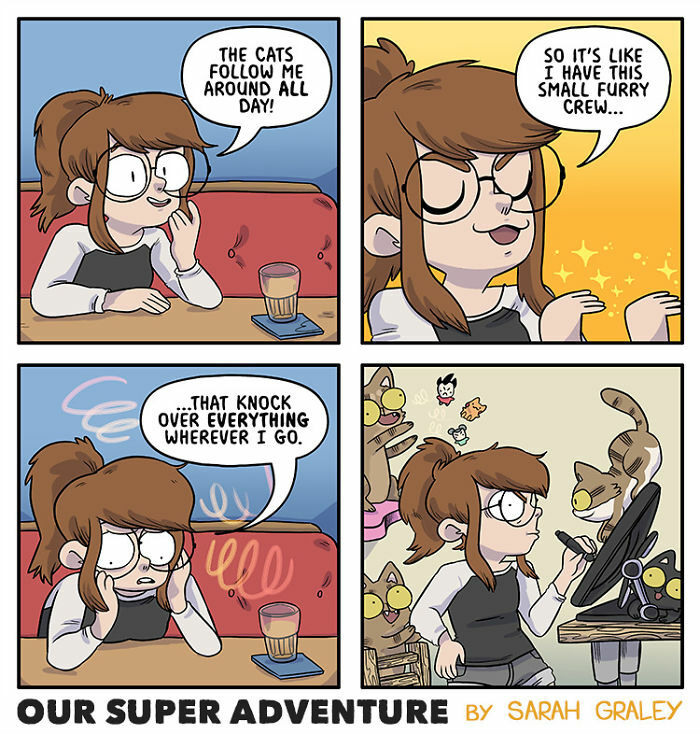 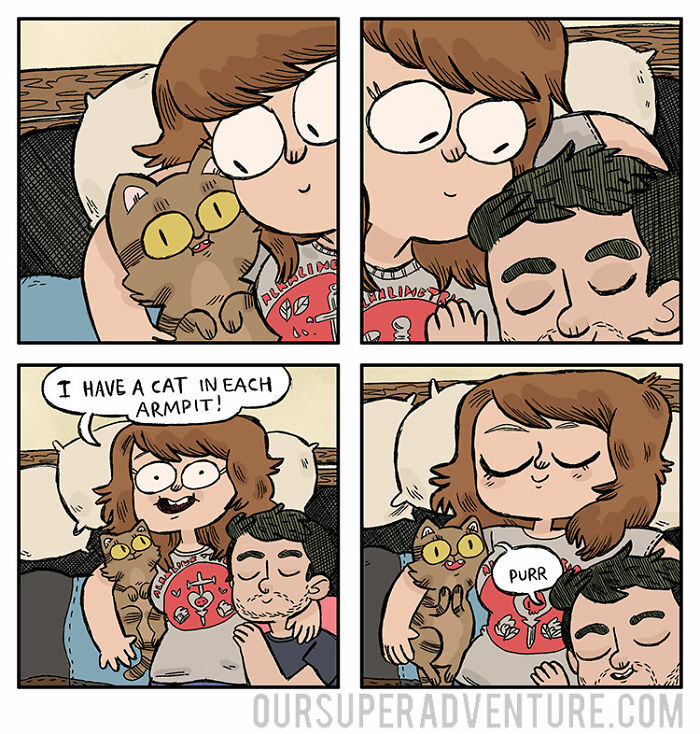 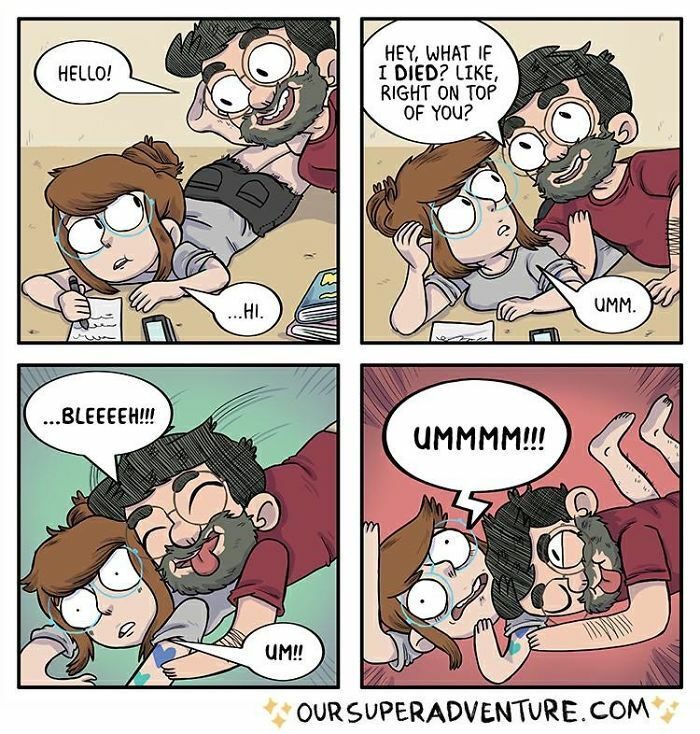 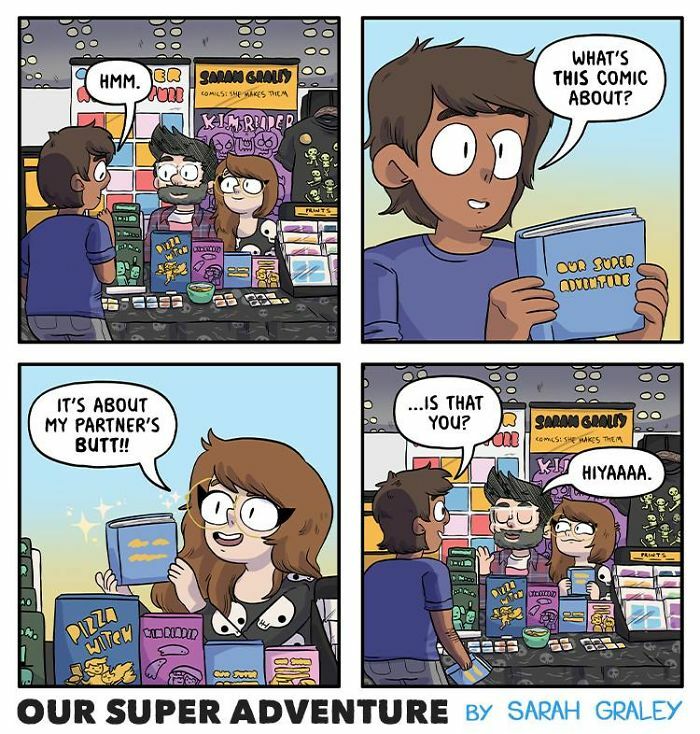 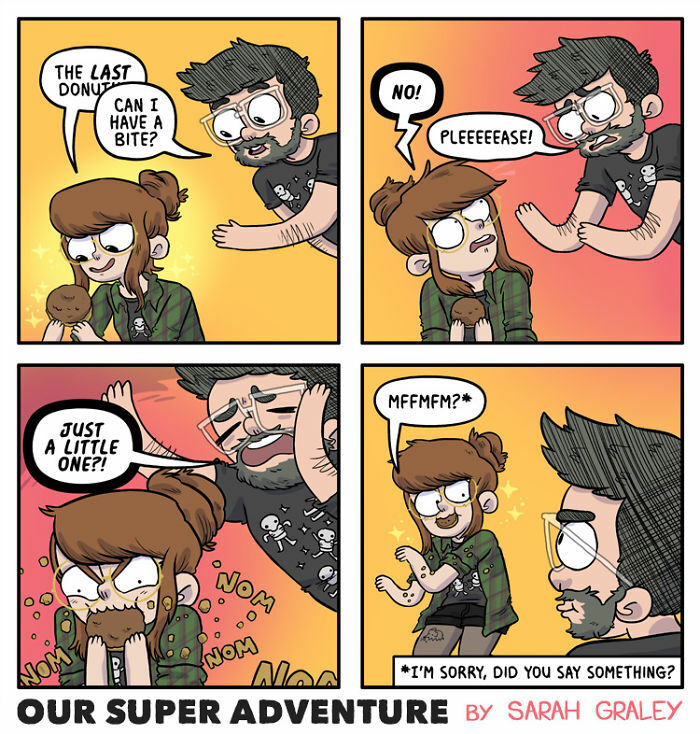 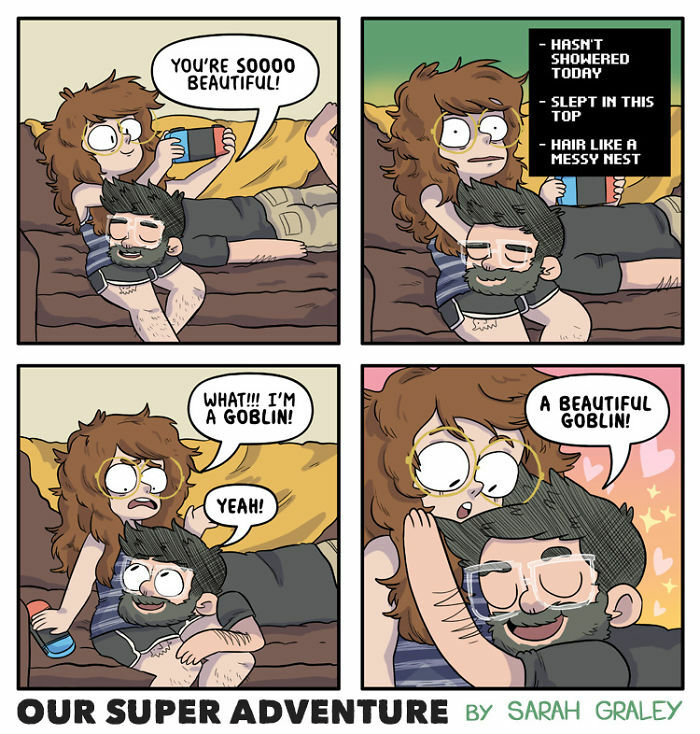 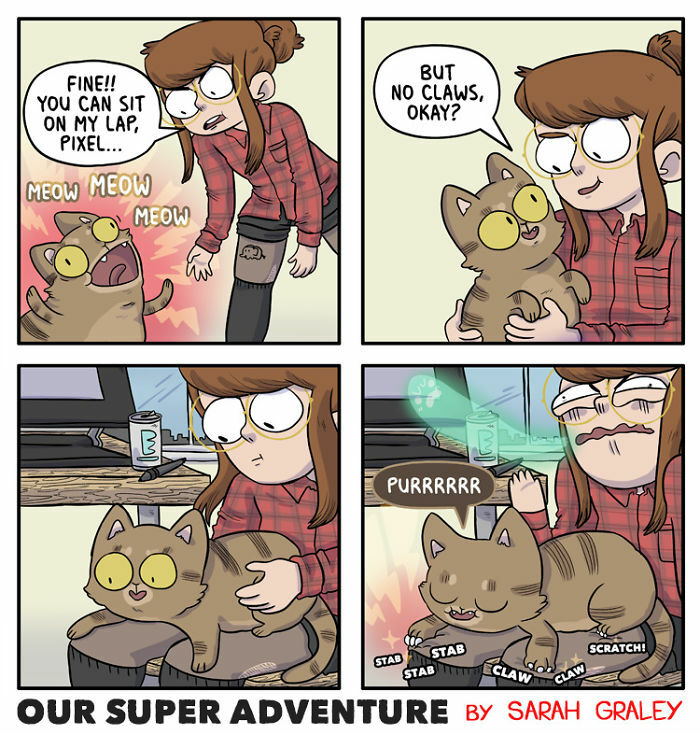 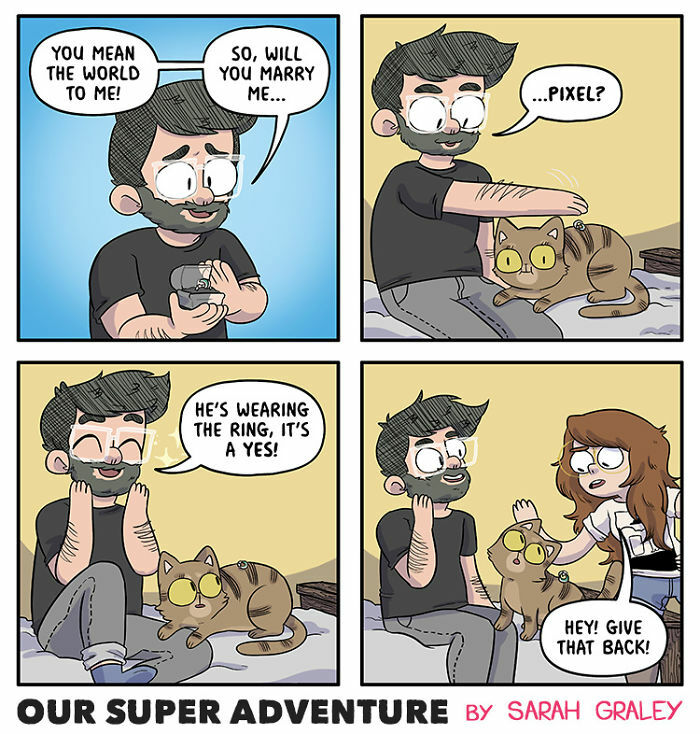 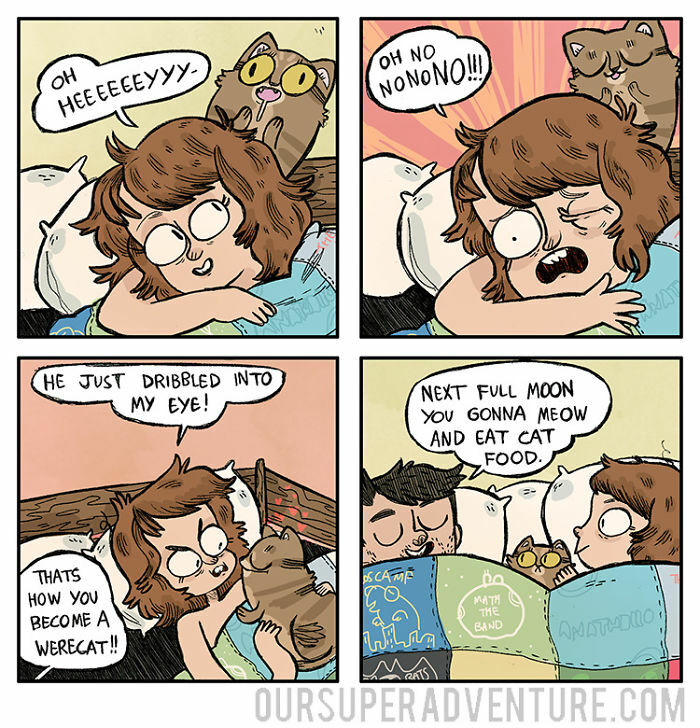 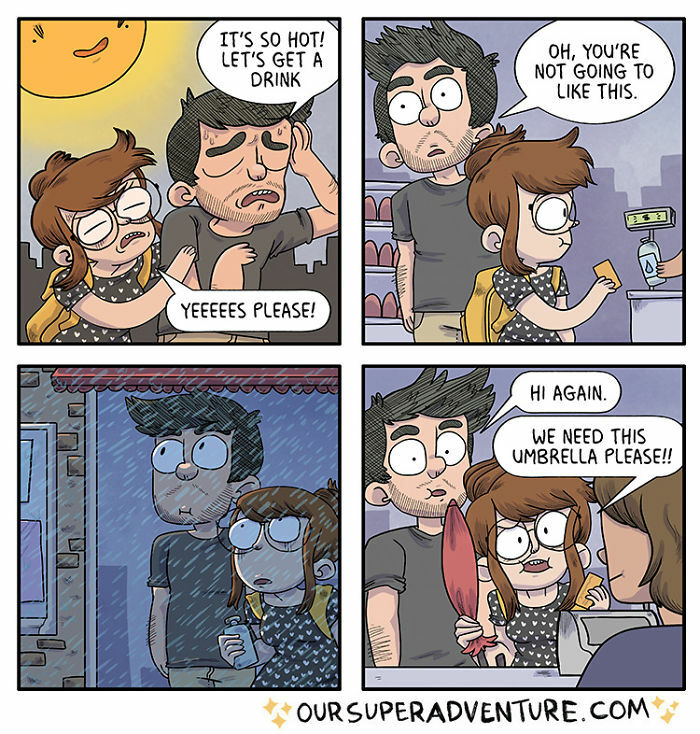 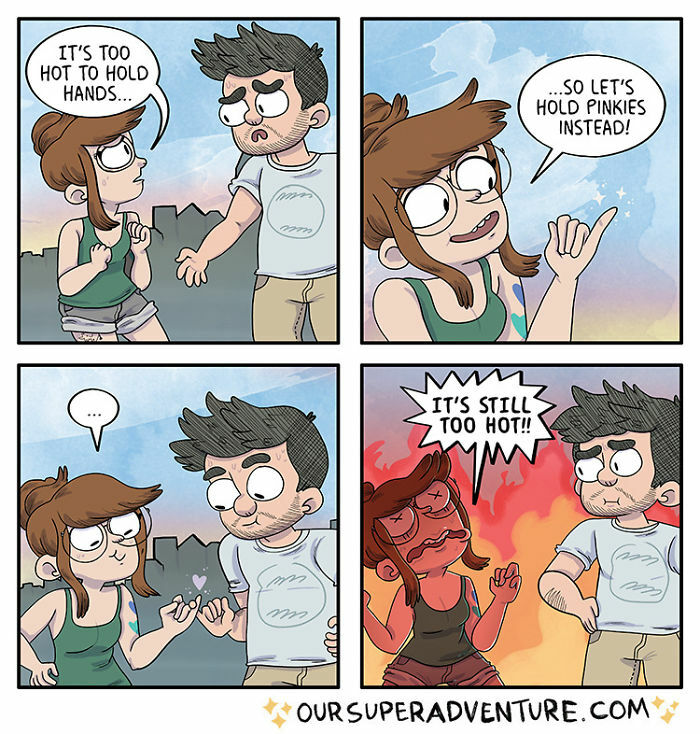 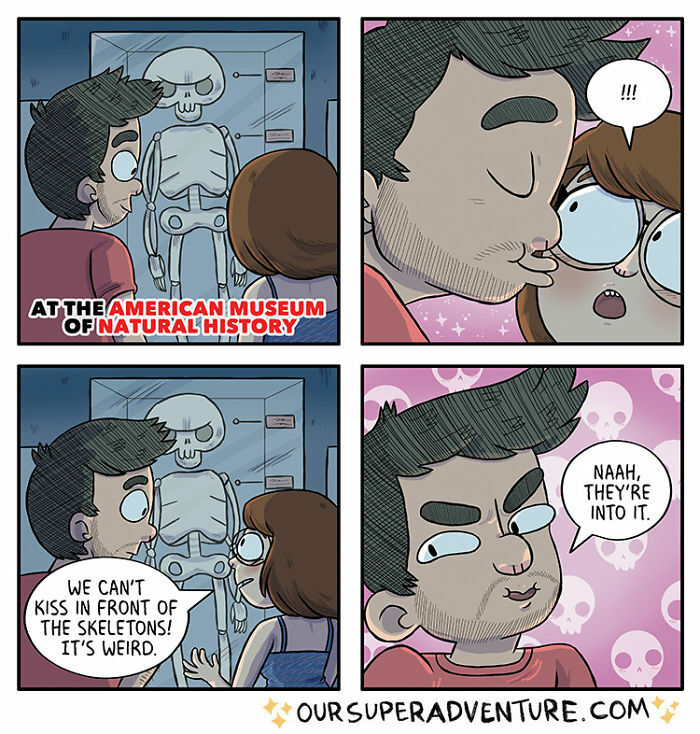 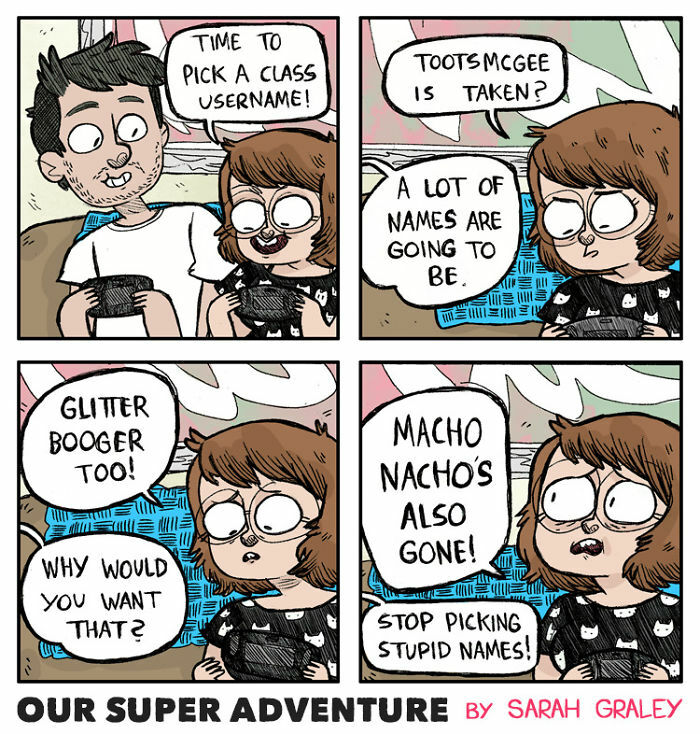 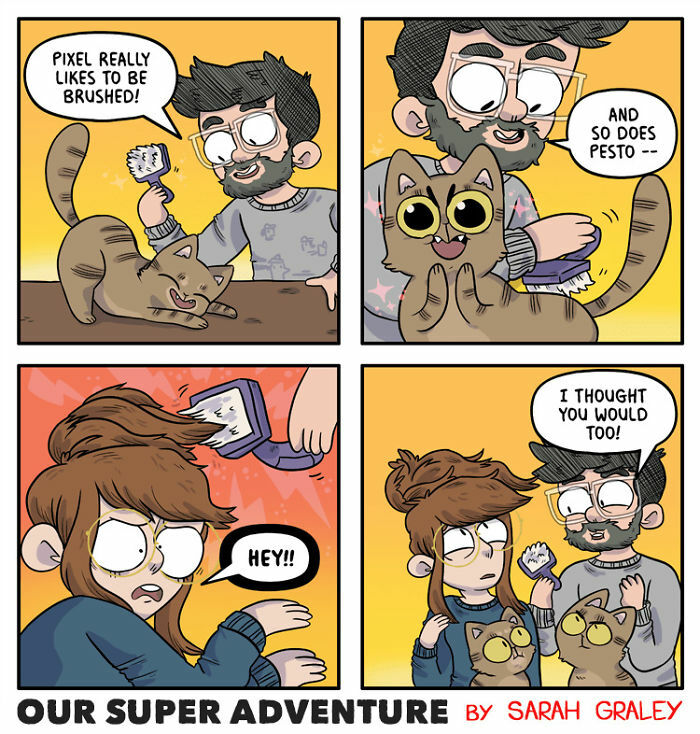 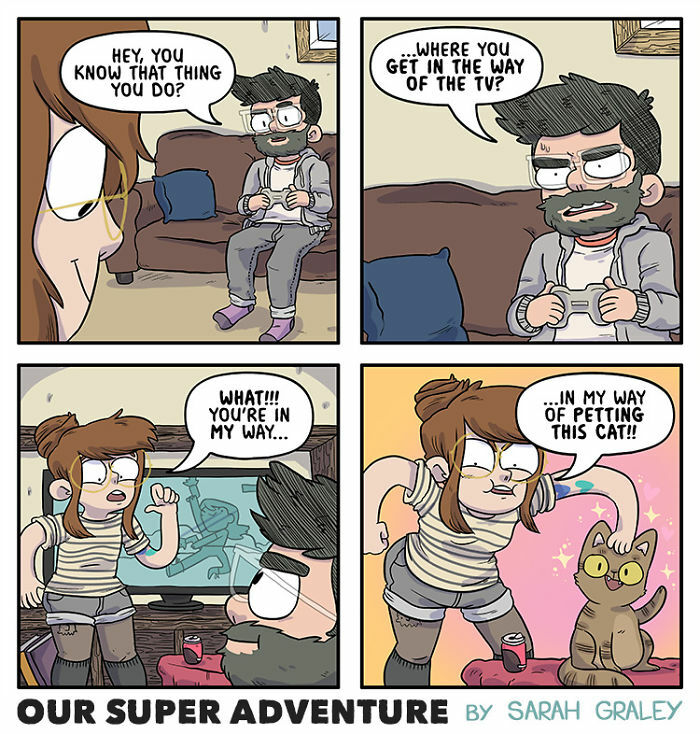 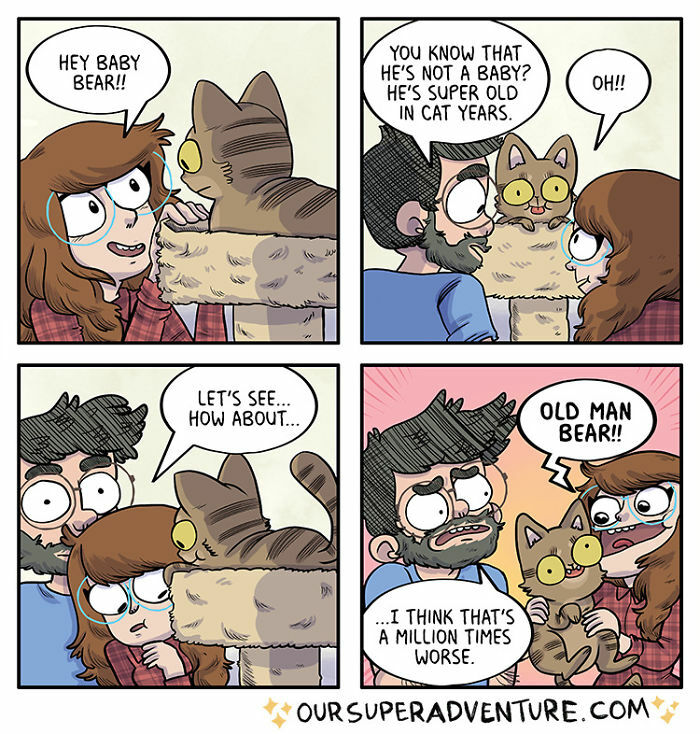 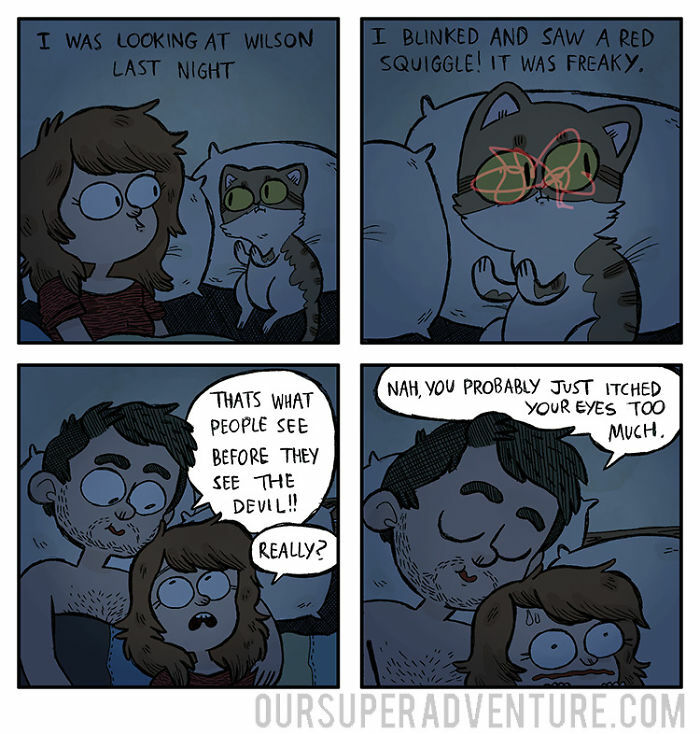 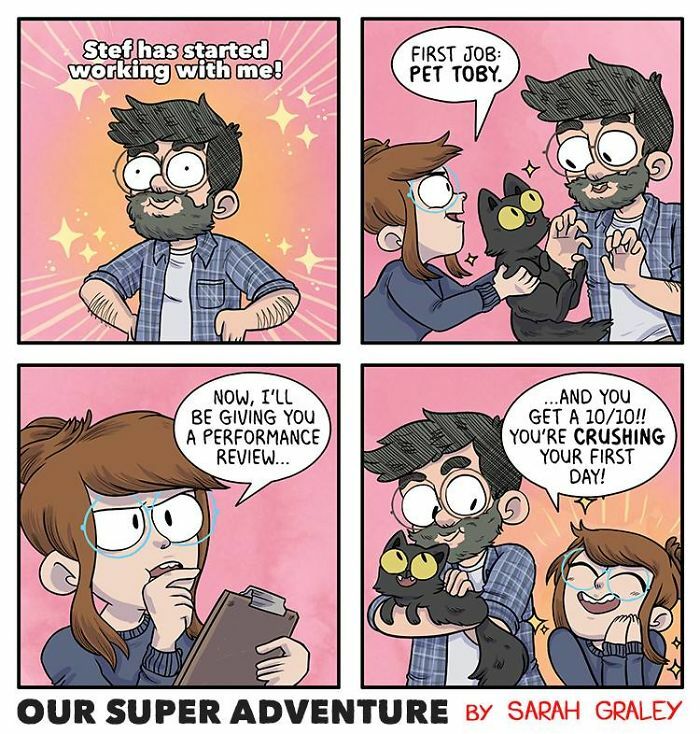 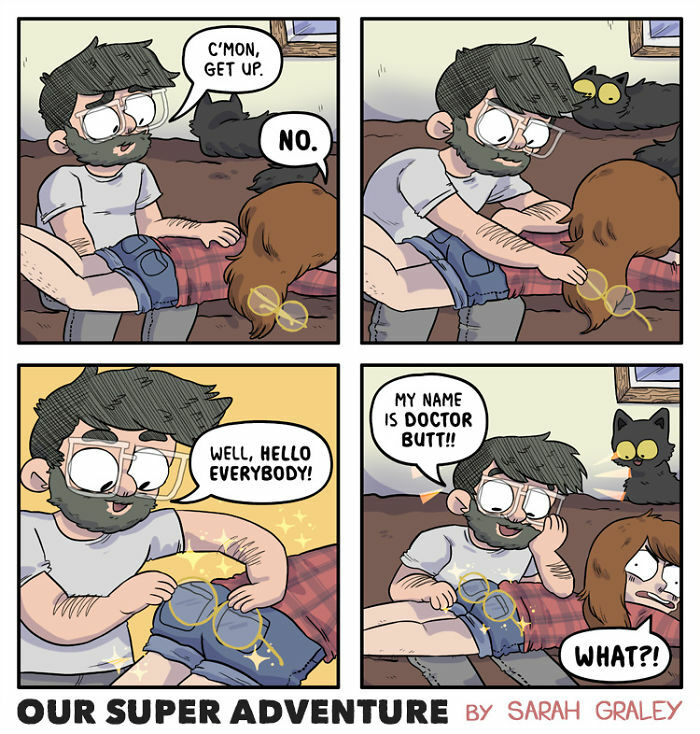 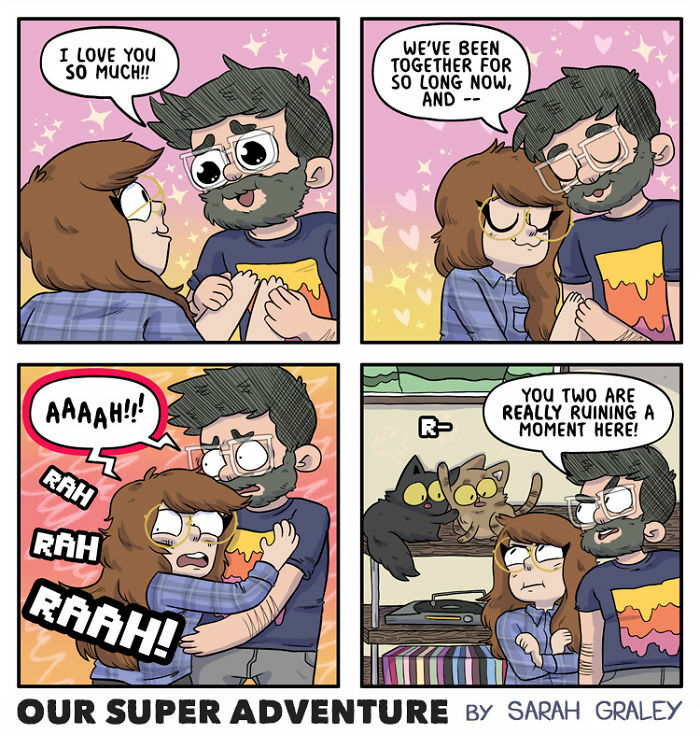 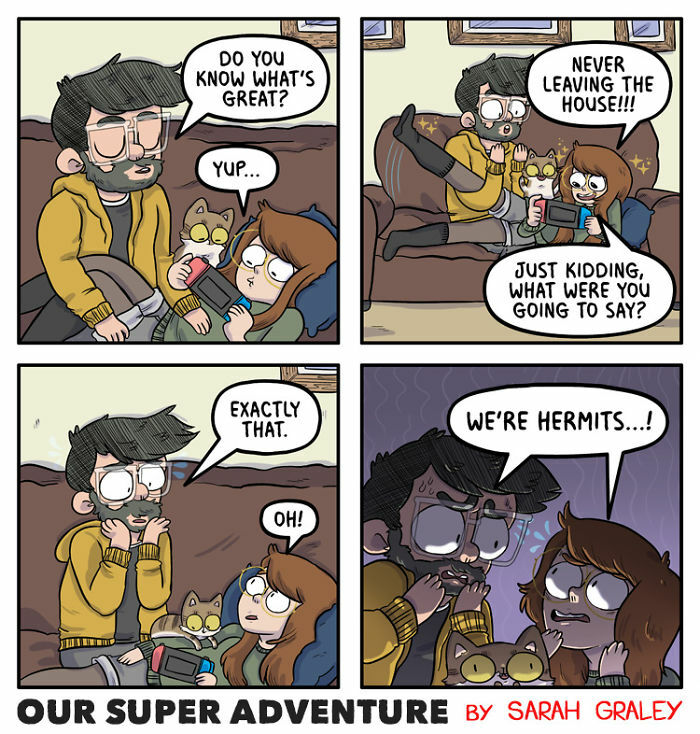 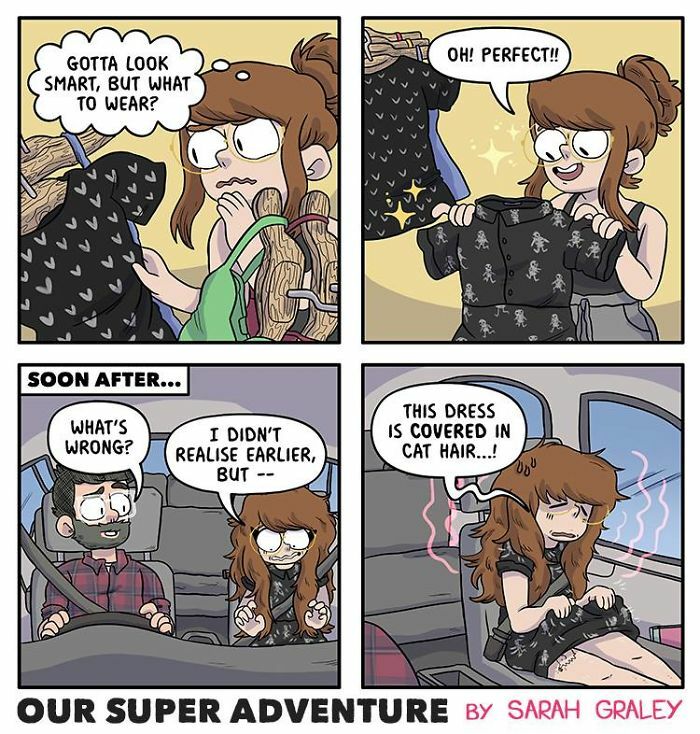 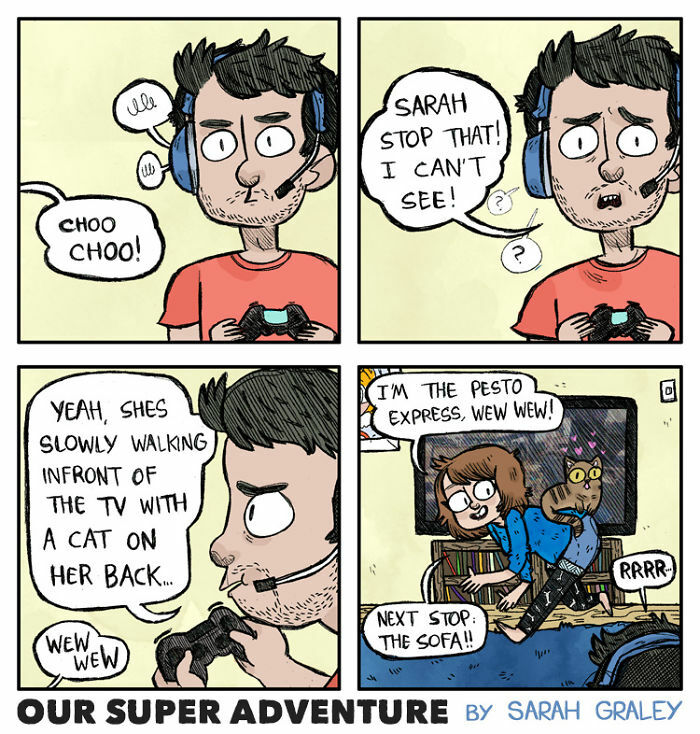 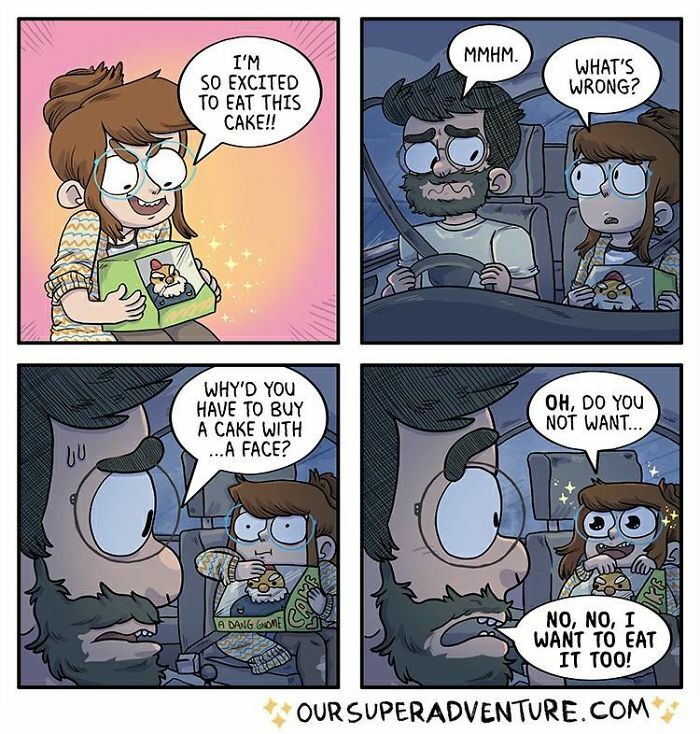 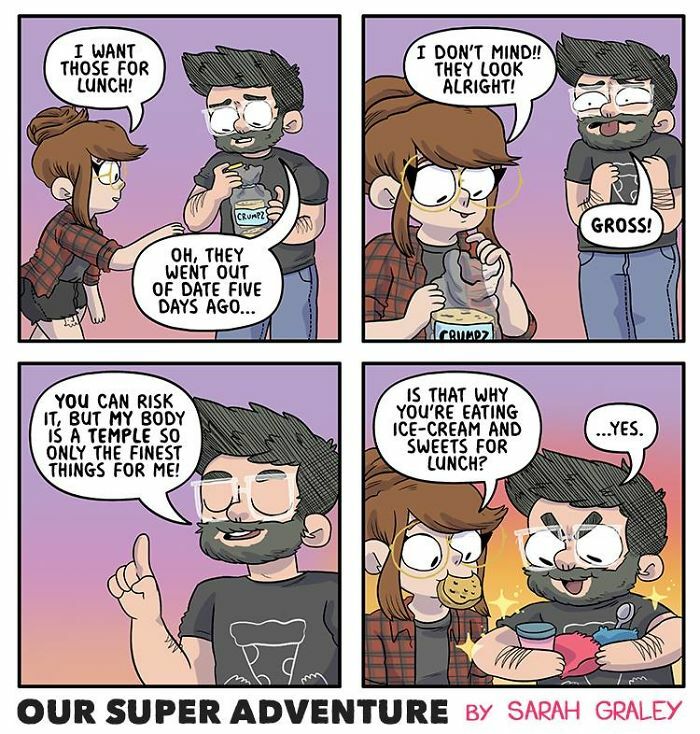 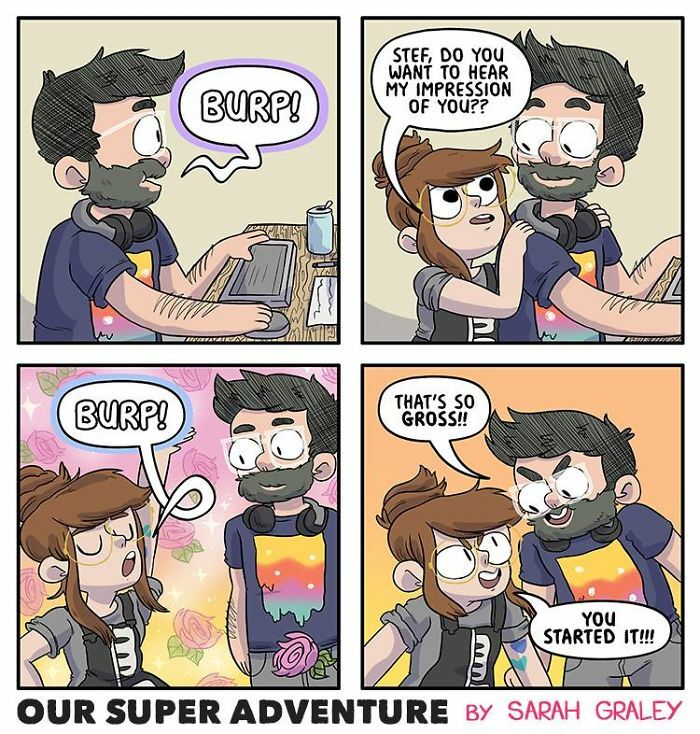 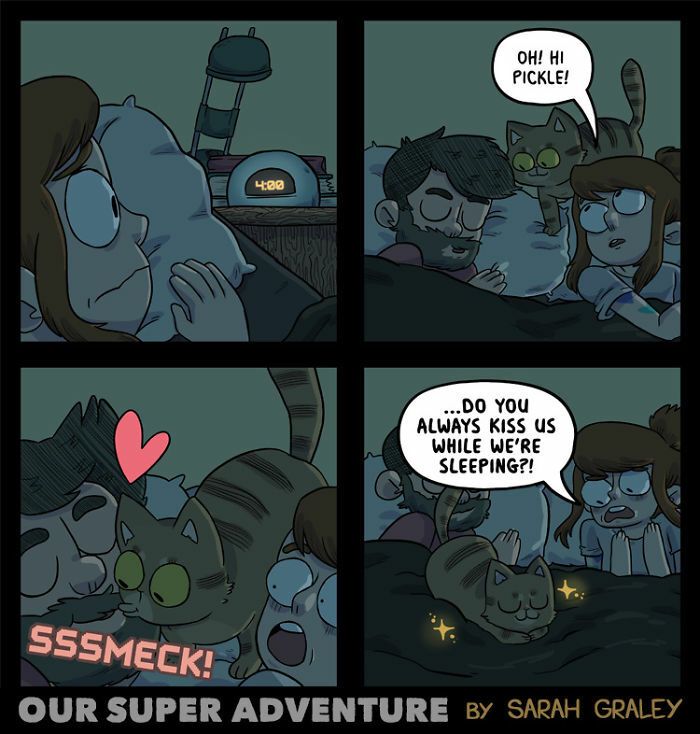 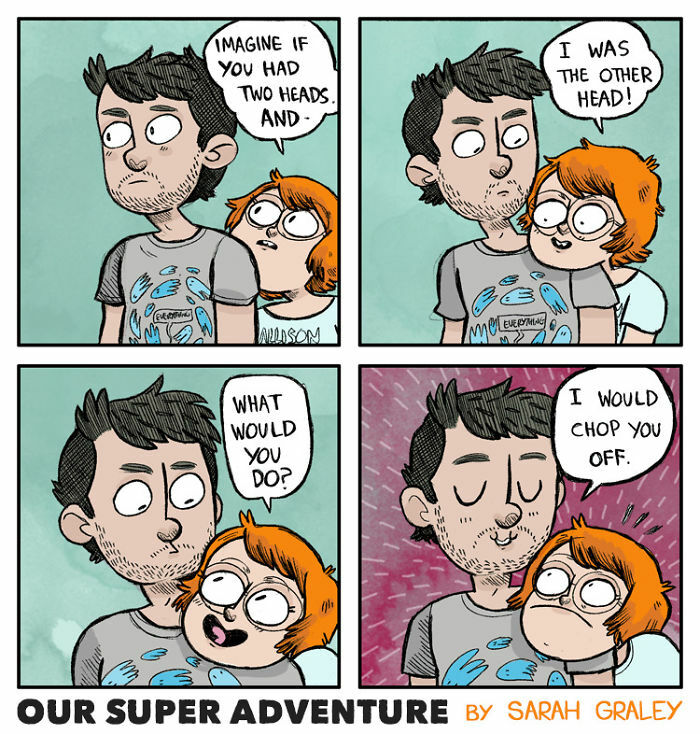 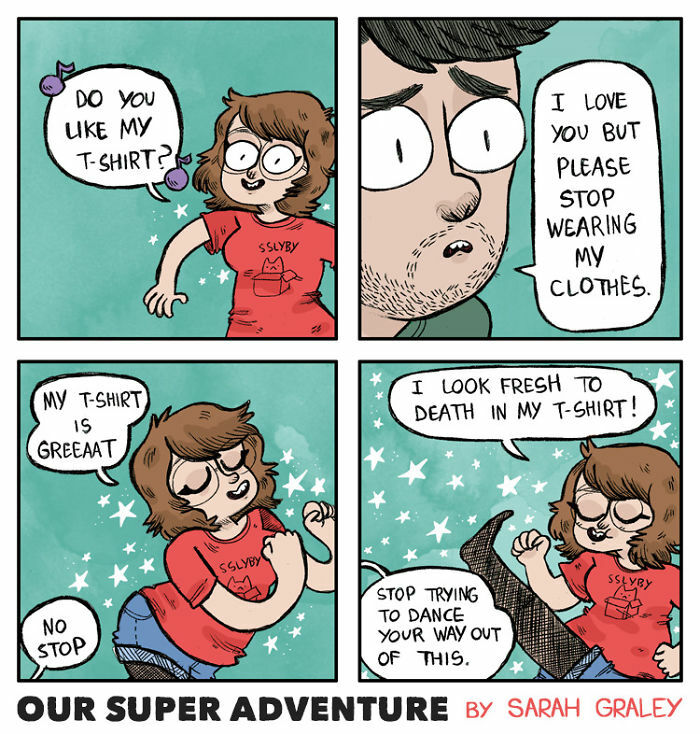 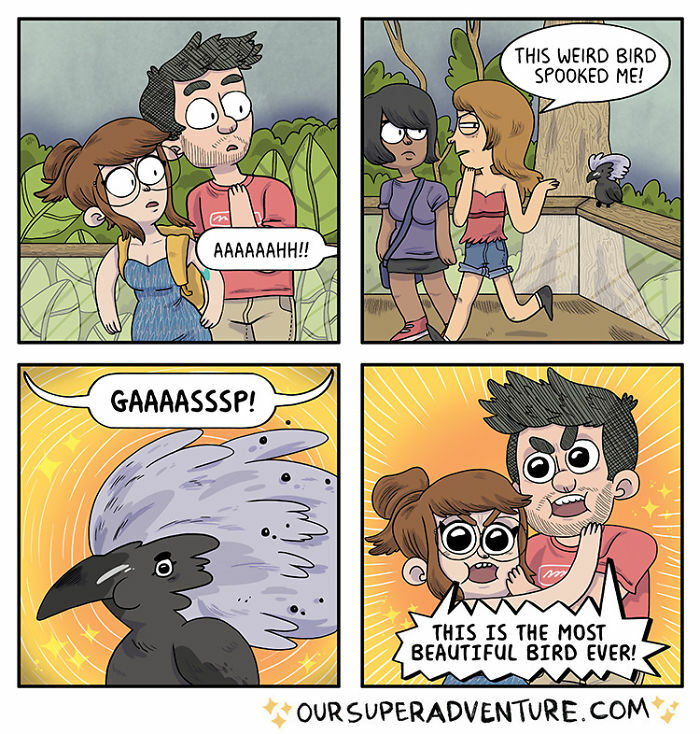 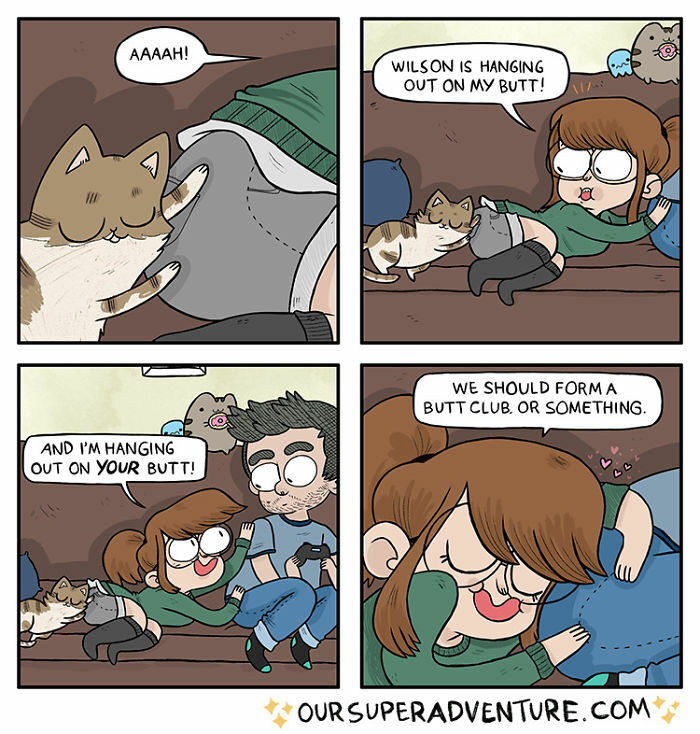 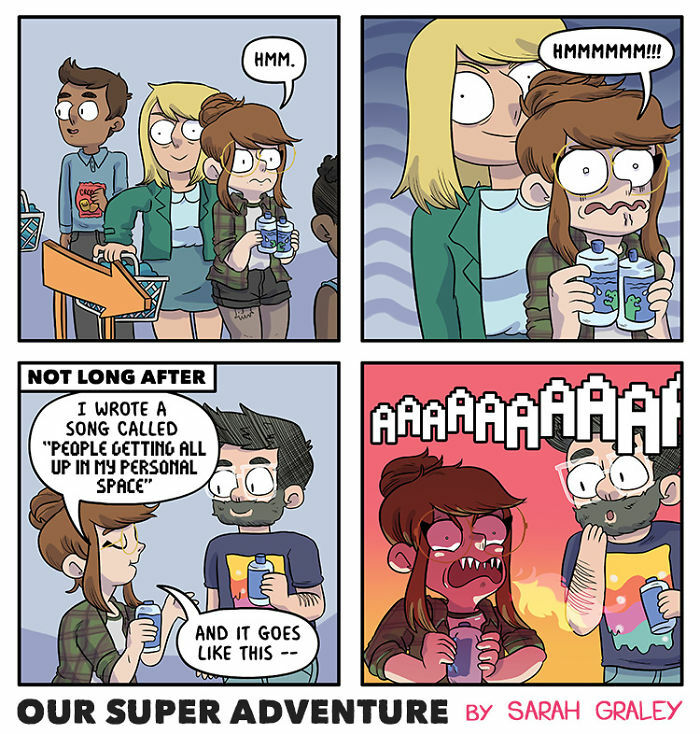 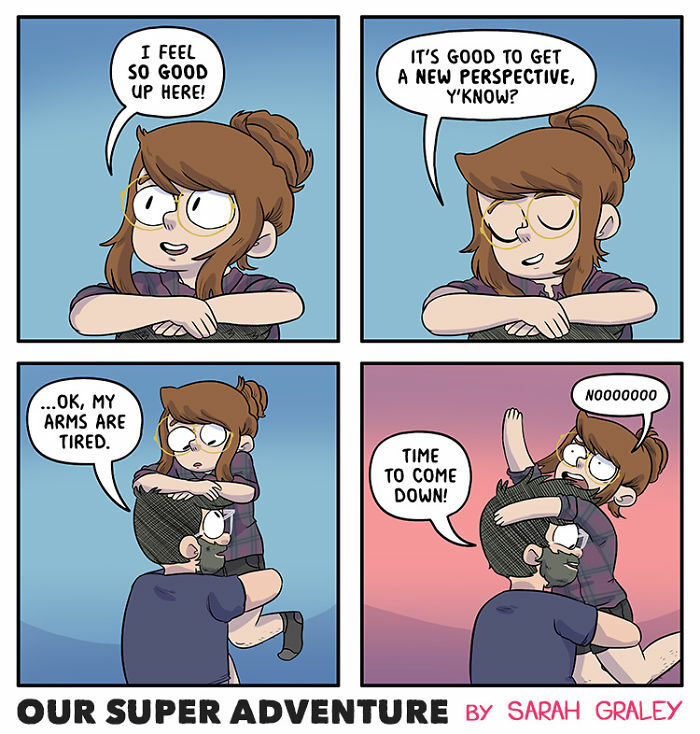 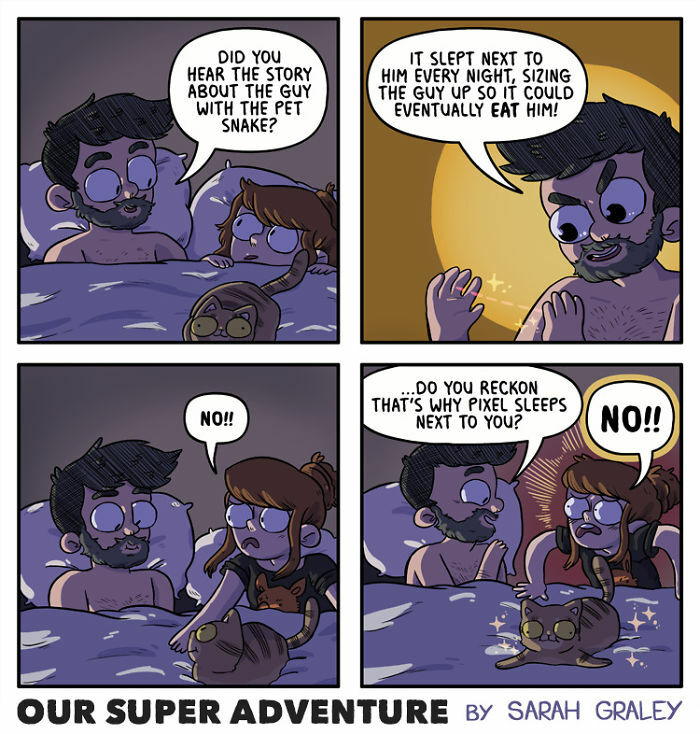 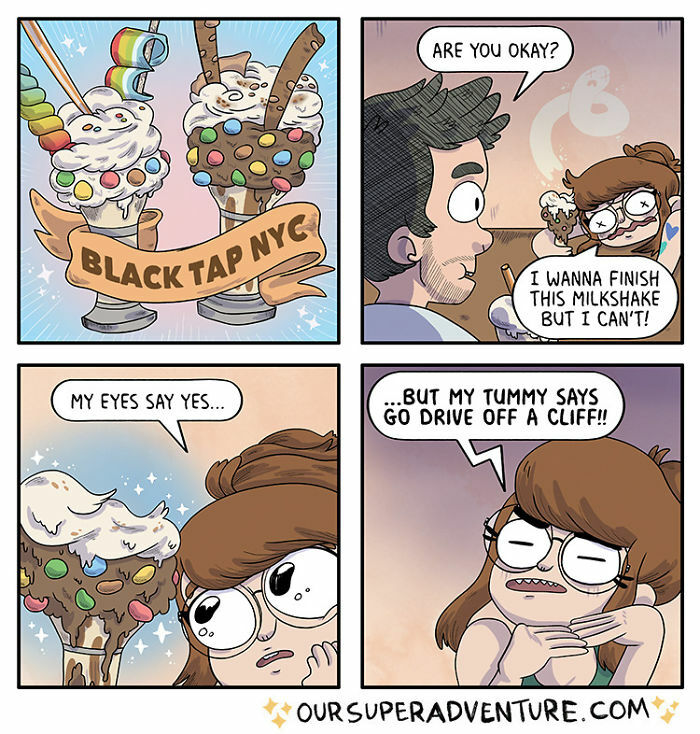 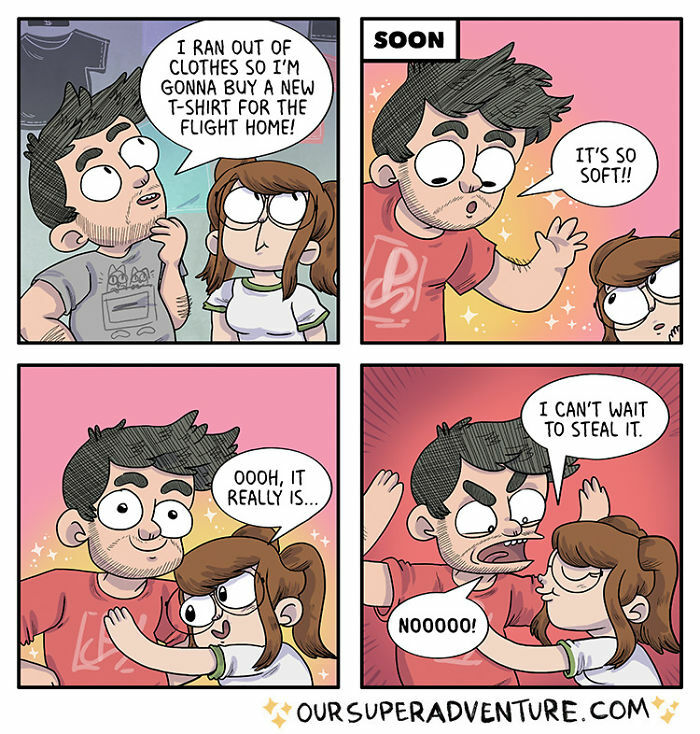 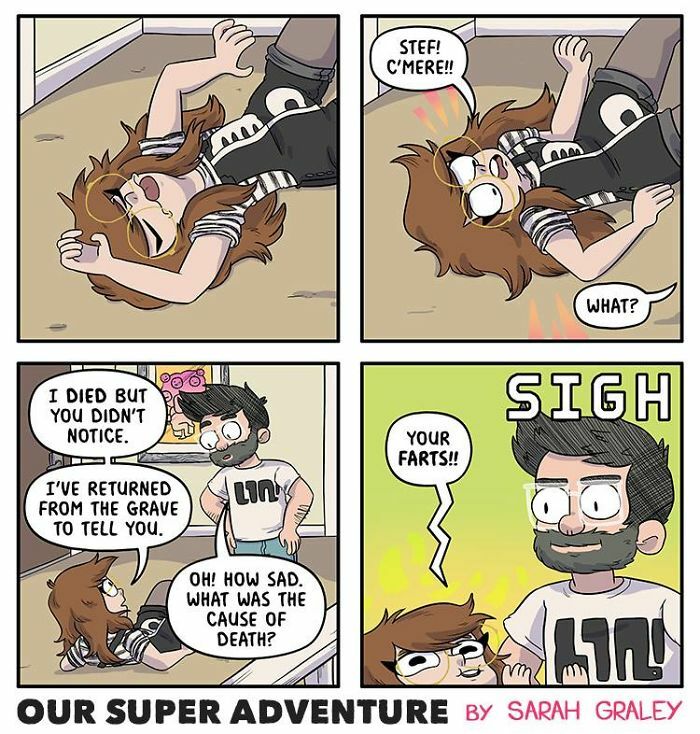 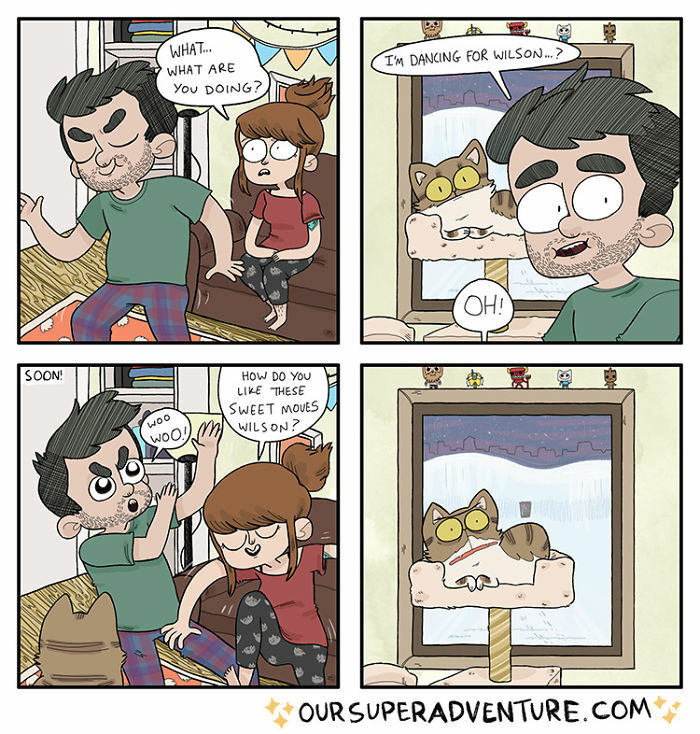 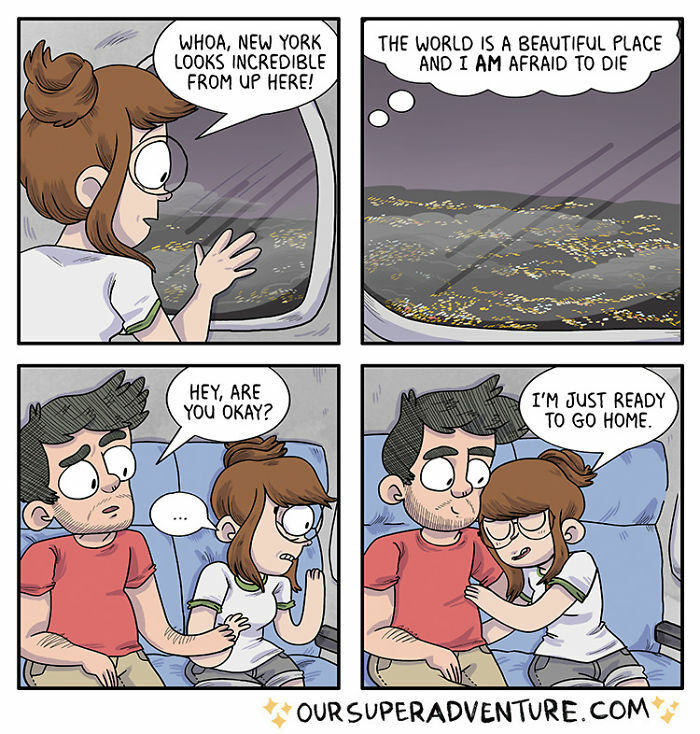 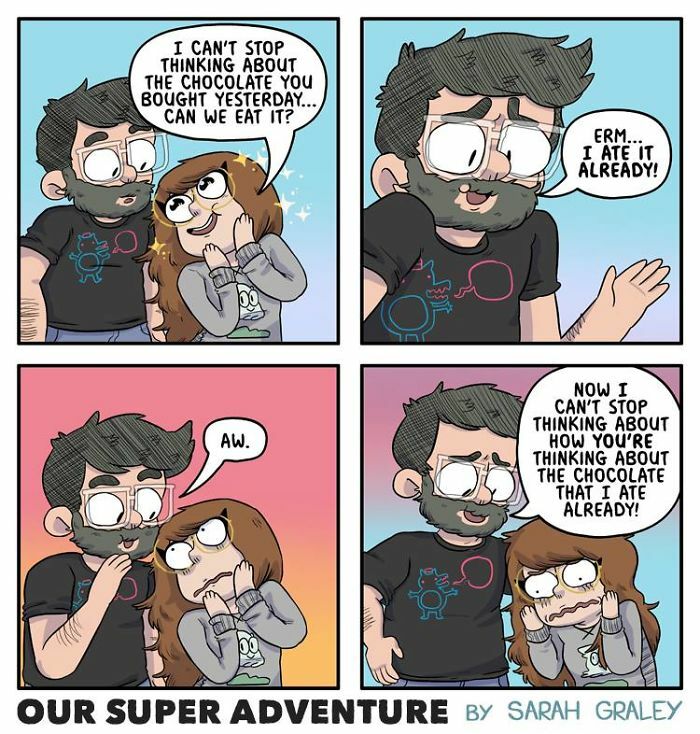 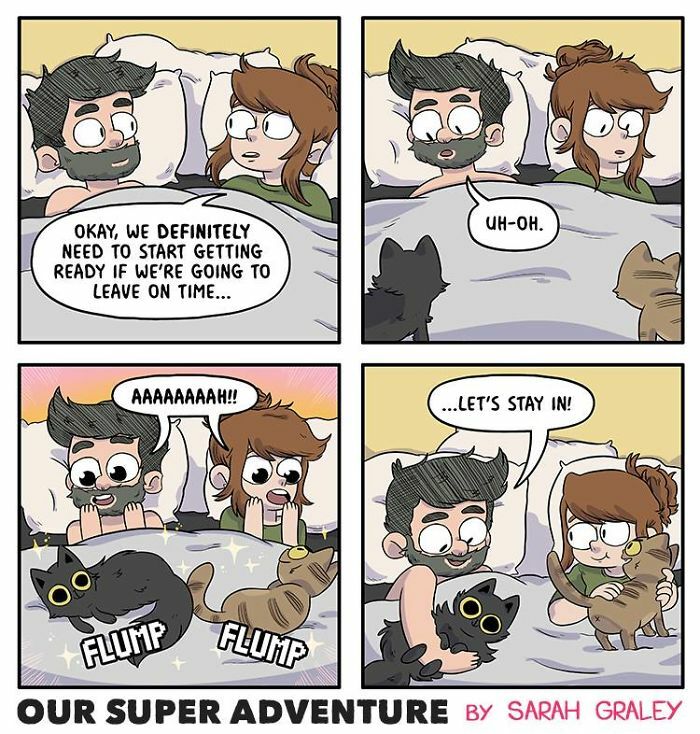 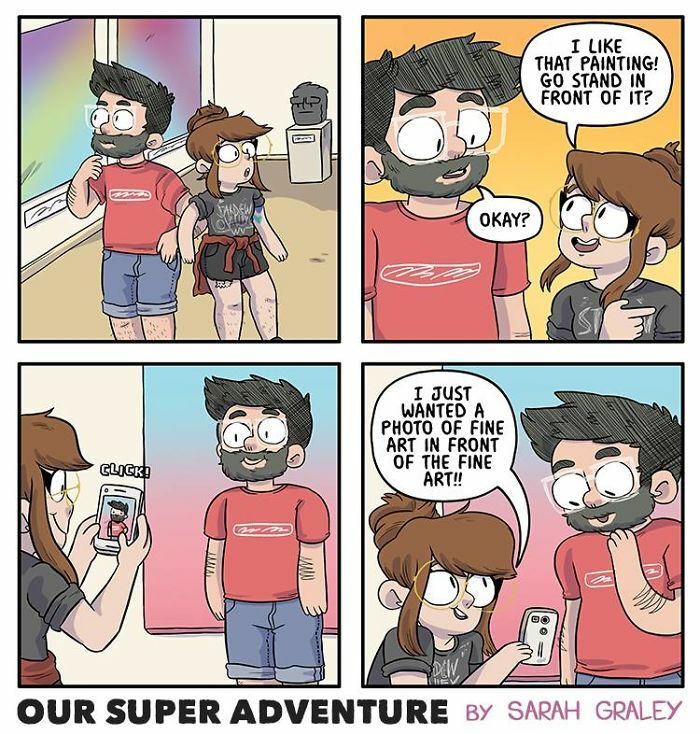 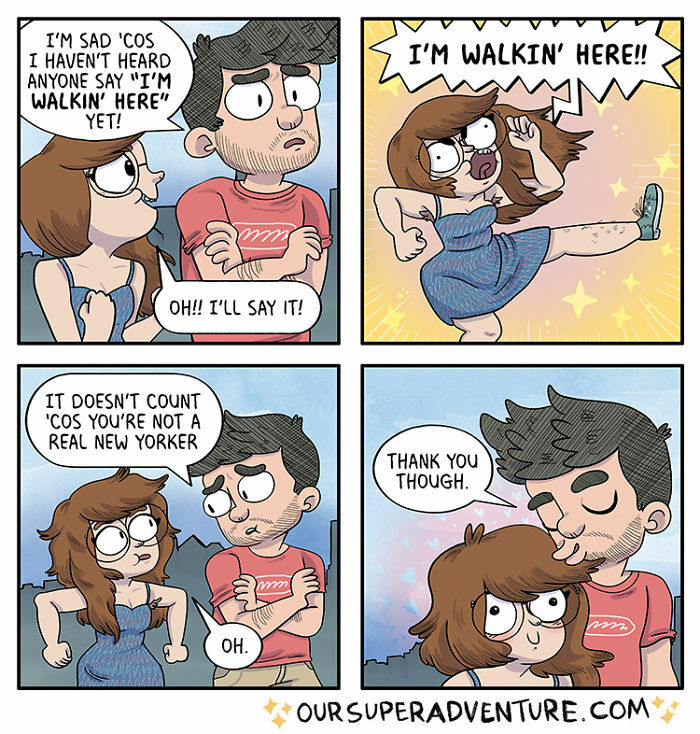 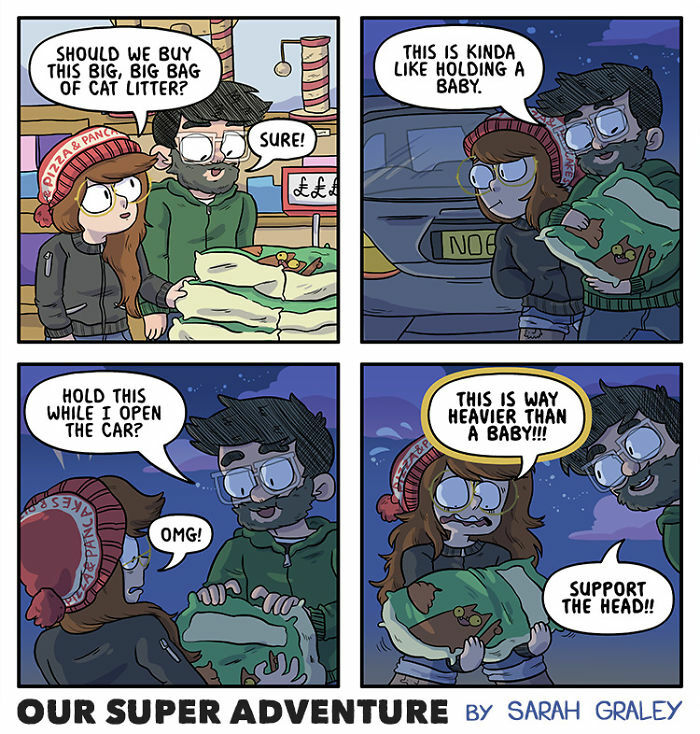 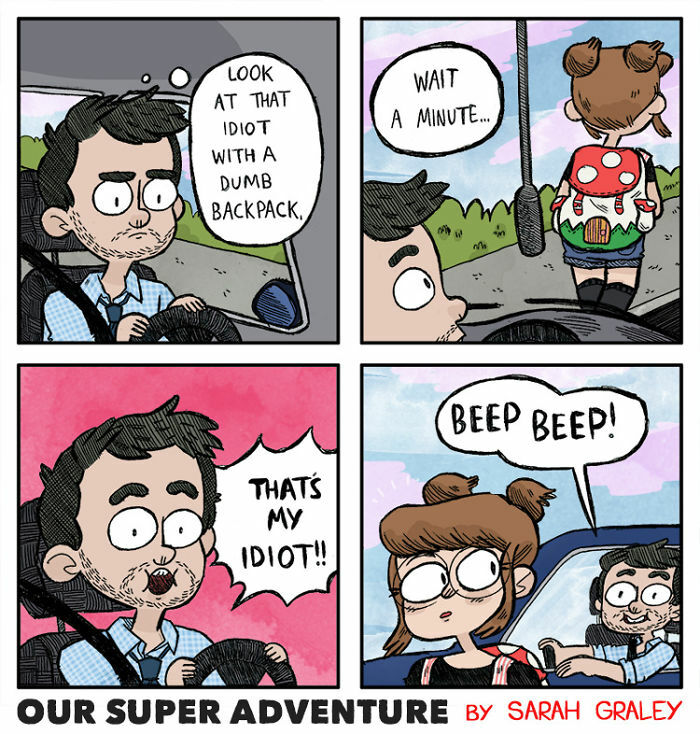 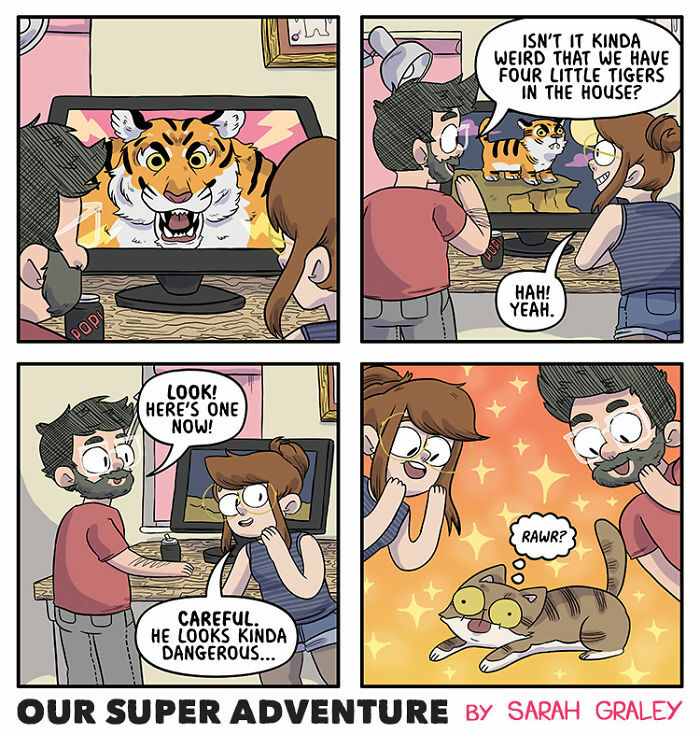 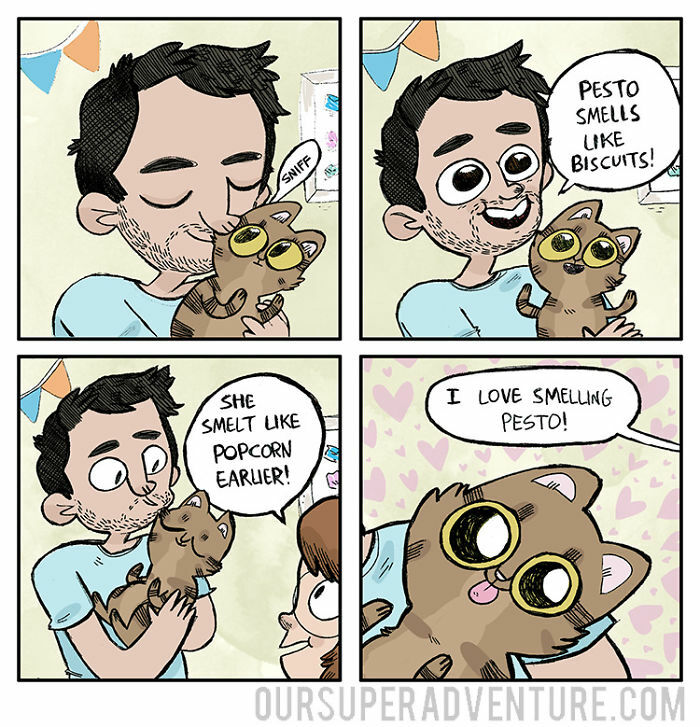 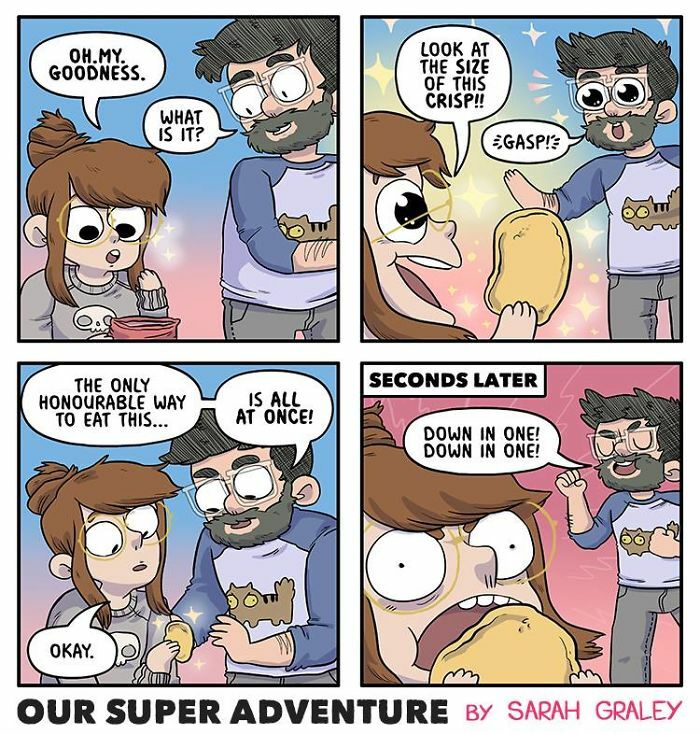 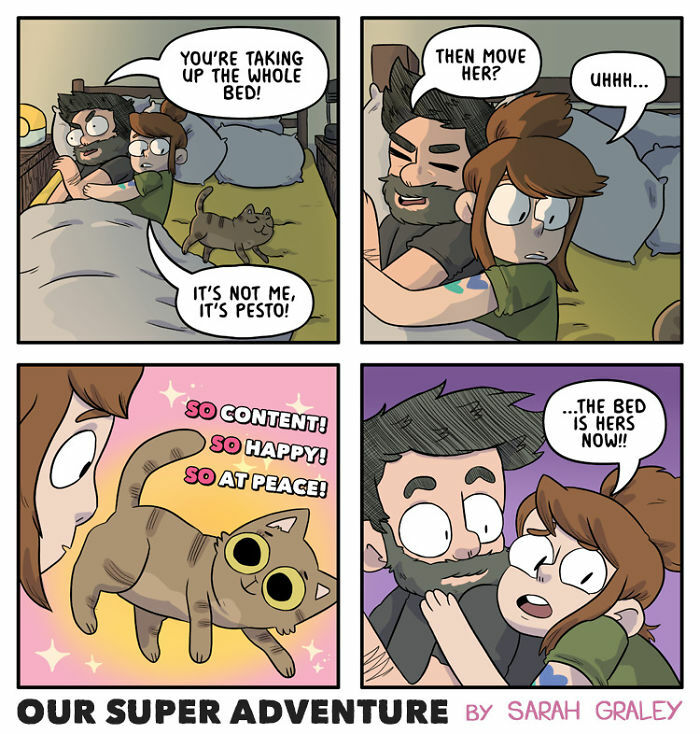 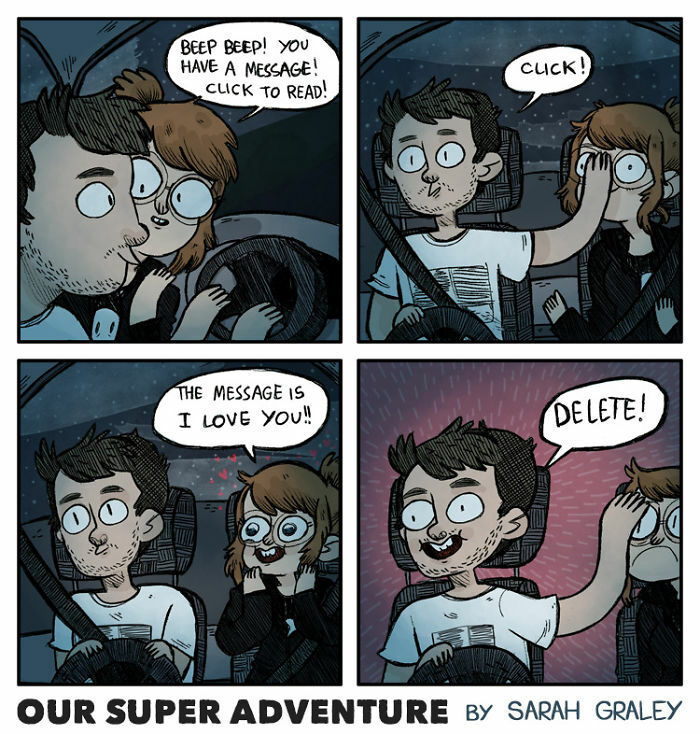 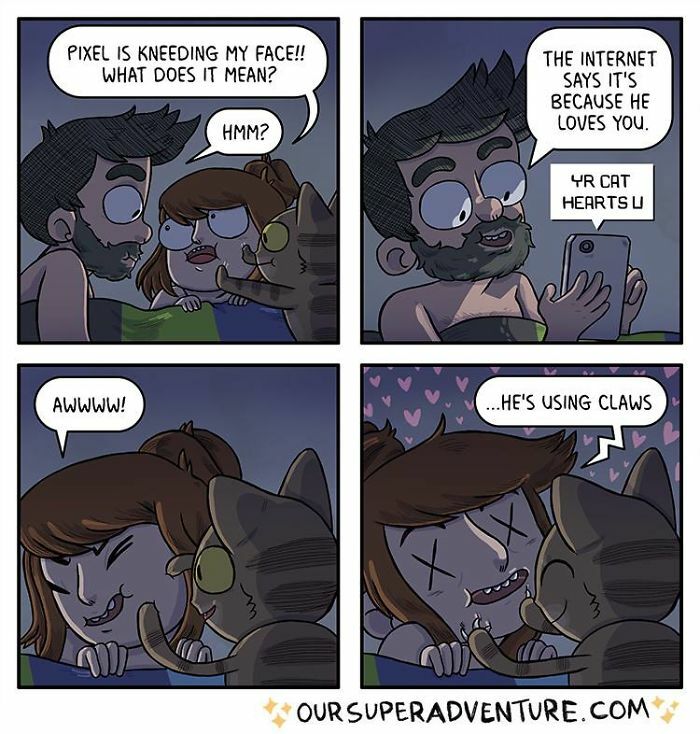 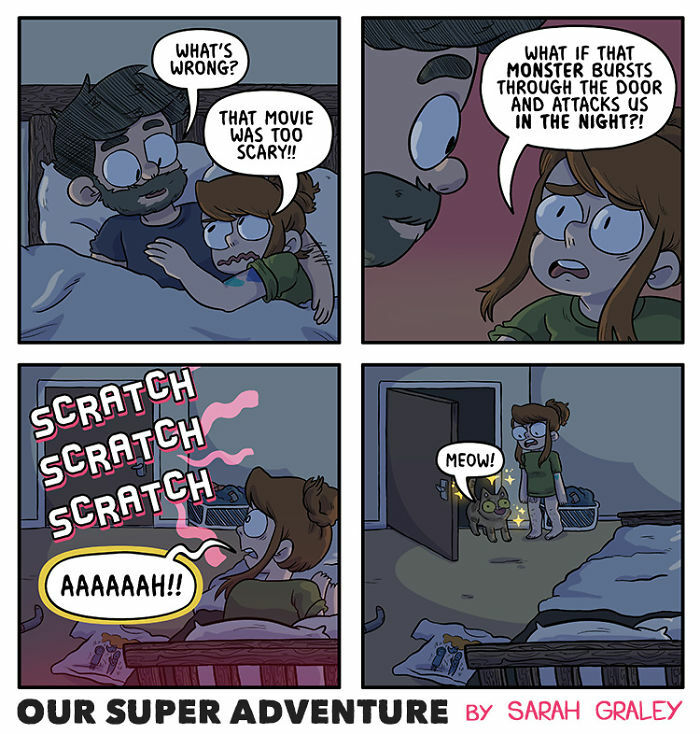 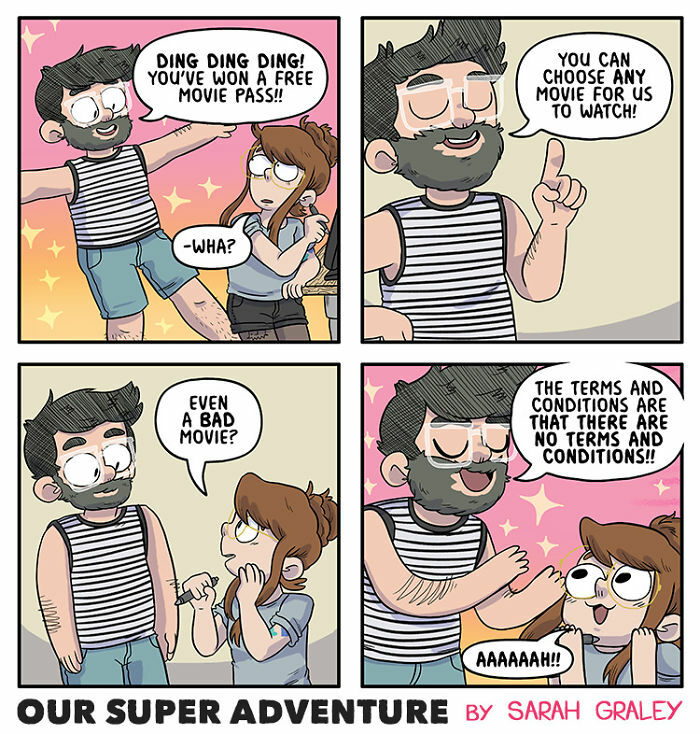 ‘Our Super Adventure’ is a comic diary by Sarah Graley that revolves around her long-term relationship, and the series perfectly proves that a couple need only each other to feel happy. 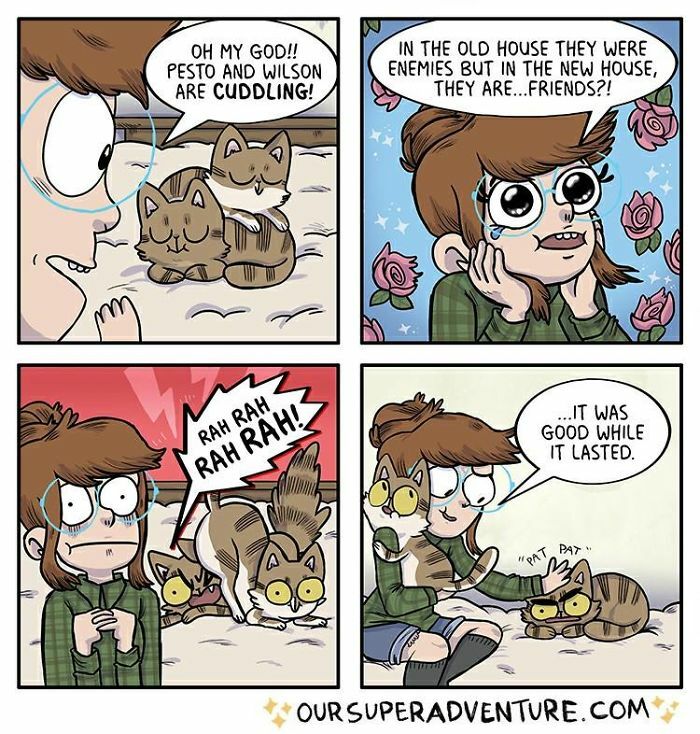 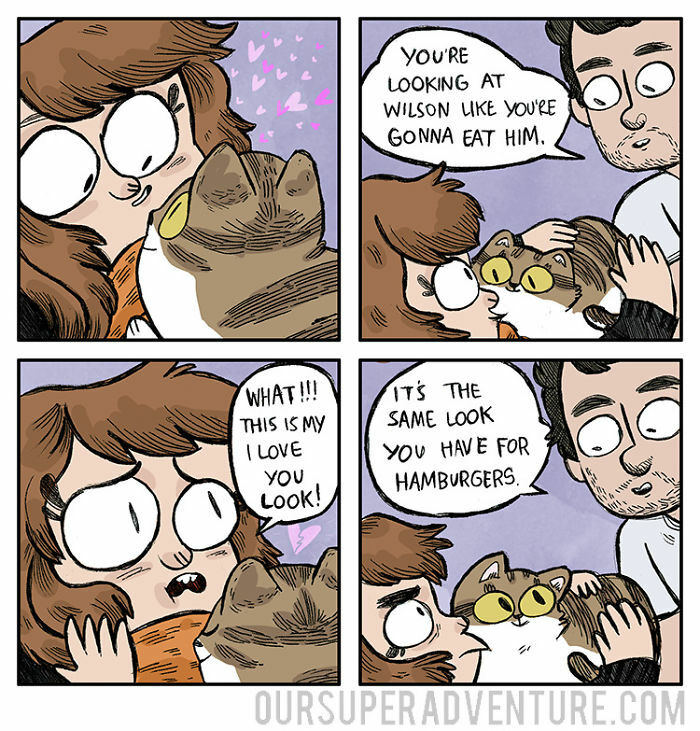 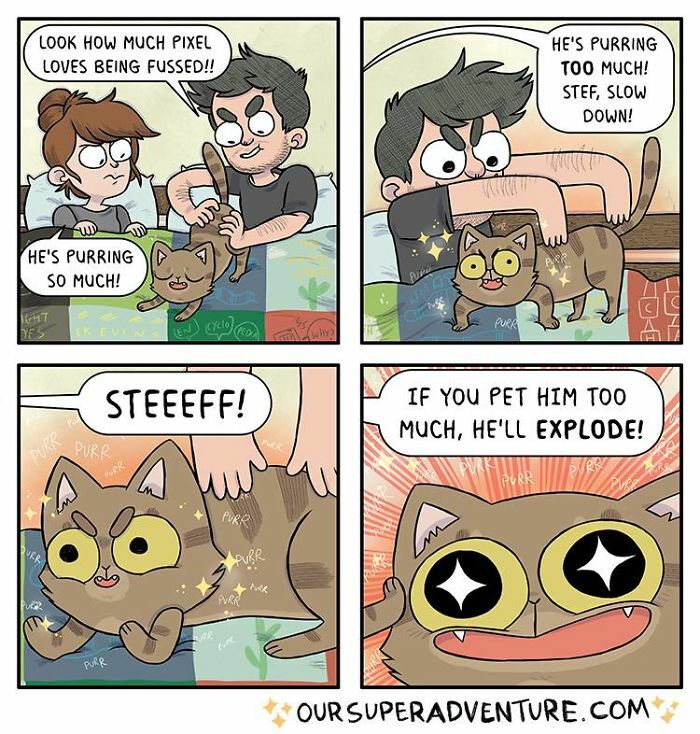 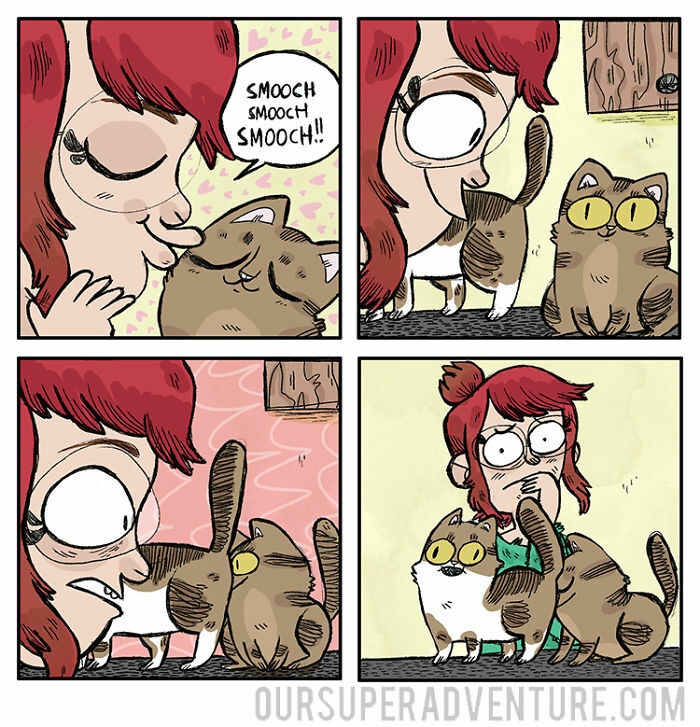 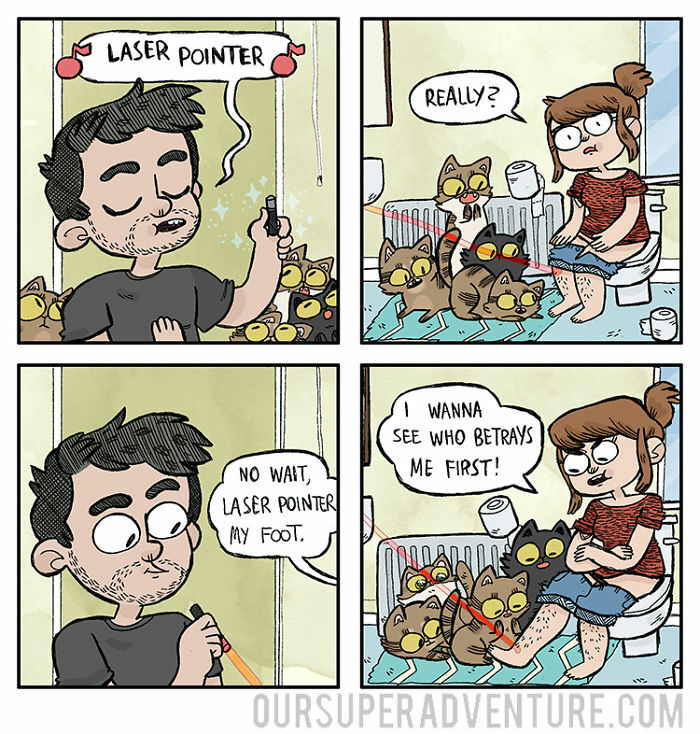 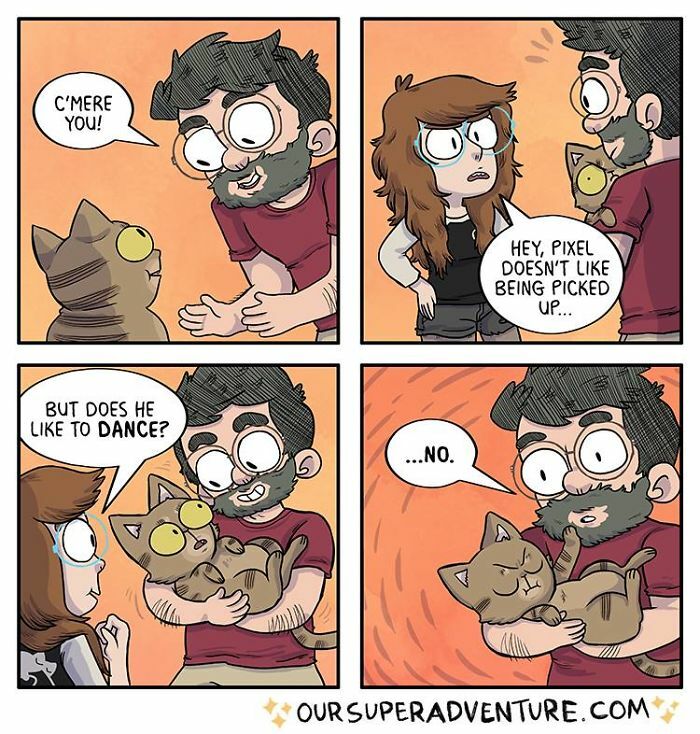 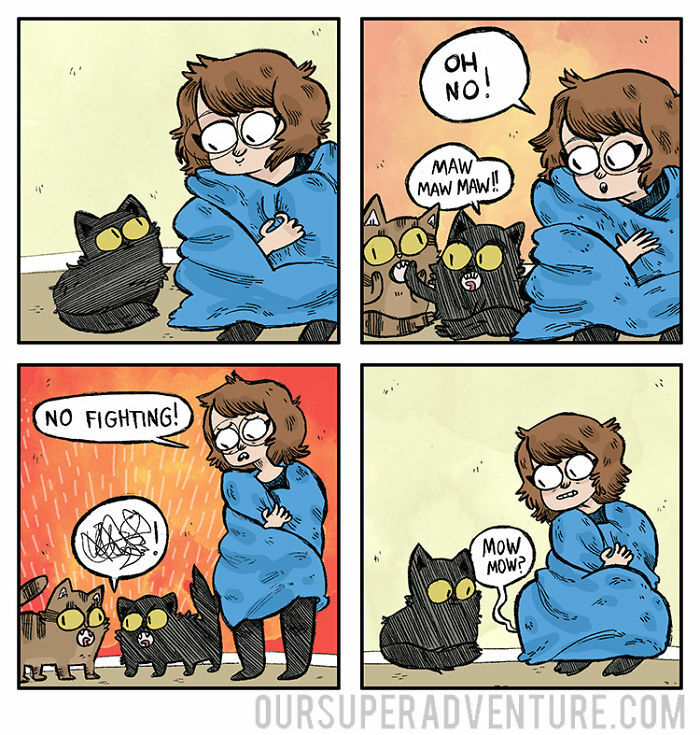 And four cats. 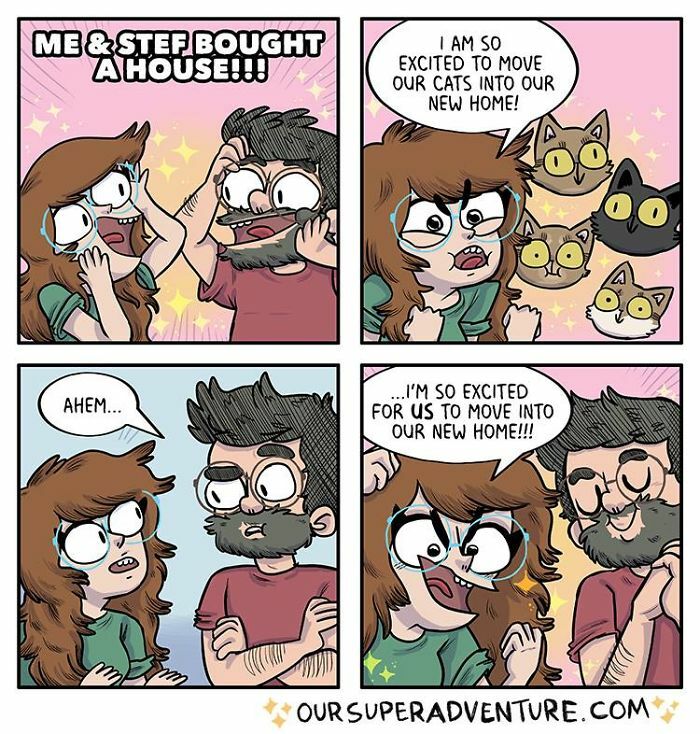 “I grew up with cats, so when me and Stef started renting a house together, it didn’t take long for us to come to the decision that we’d love to get cats of our own,” Sarah added. 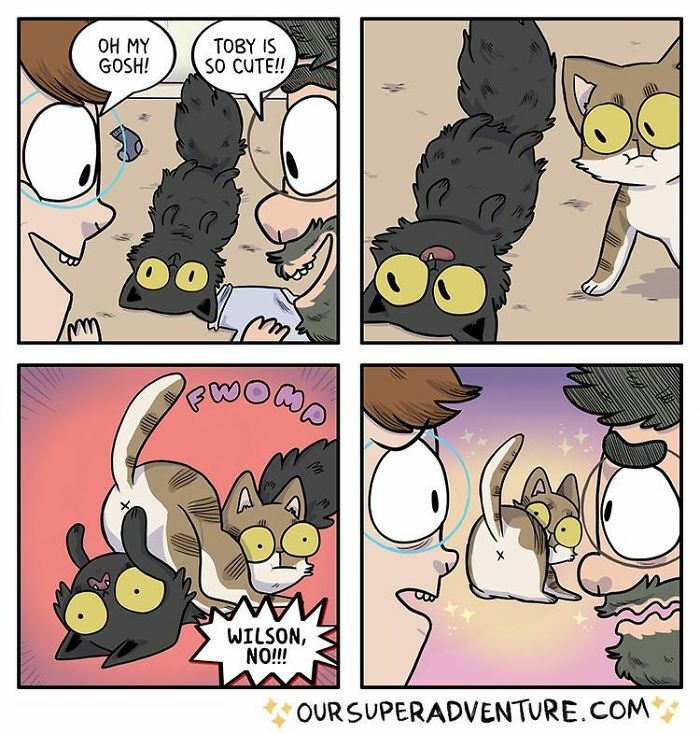 “We got Pesto and Toby in October 2013, and they were sisters from the same litter. 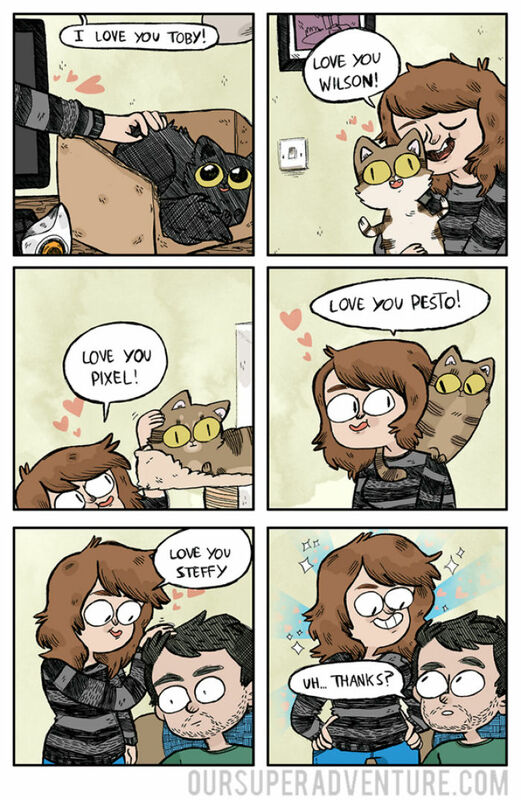 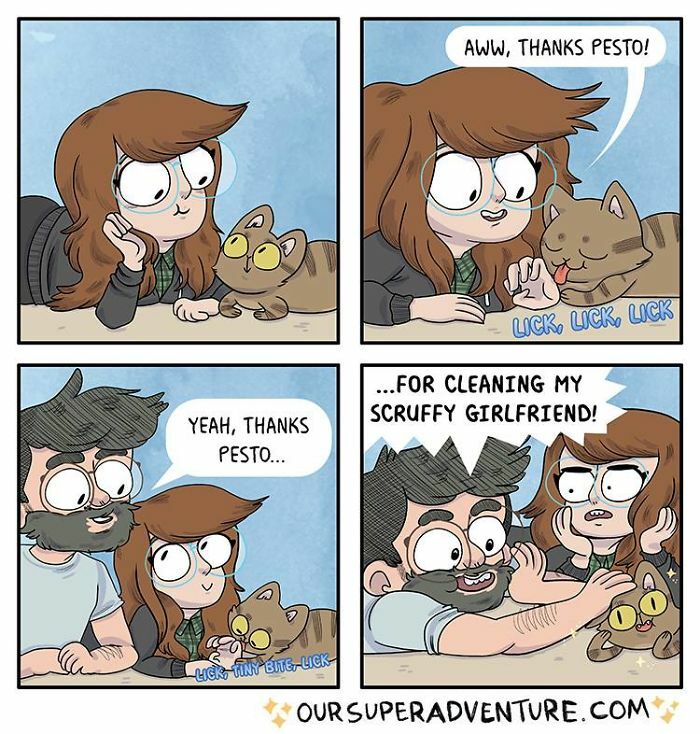 A year or so later, Pesto got pregnant and had a litter of four – we kept Wilson and Pixel.” The rest went to their relatives. 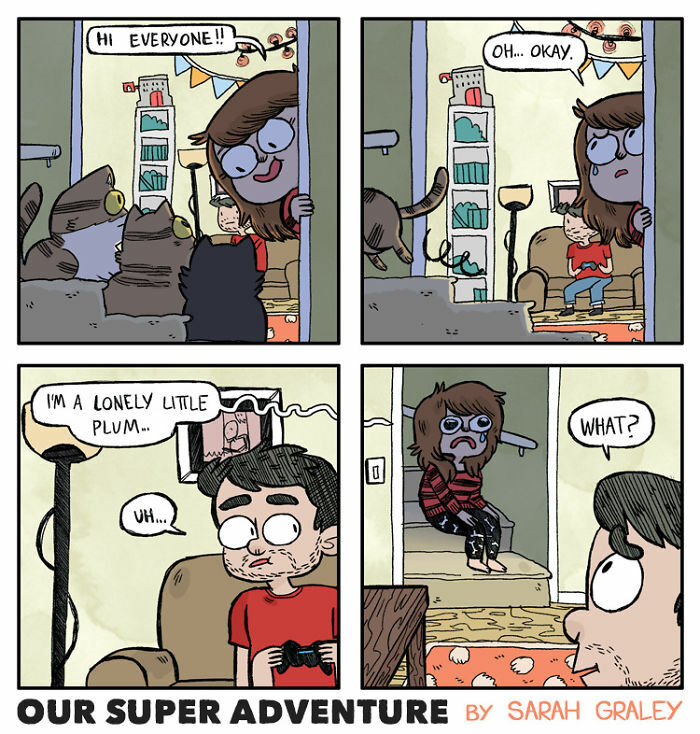 Also, the first ‘Our Super Adventure’ book is being re-released by Oni Press in March 2019. 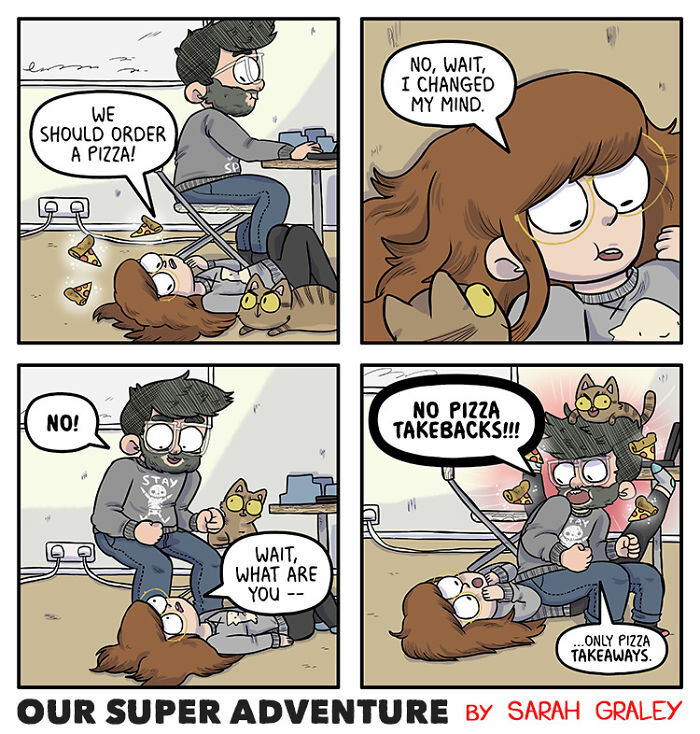 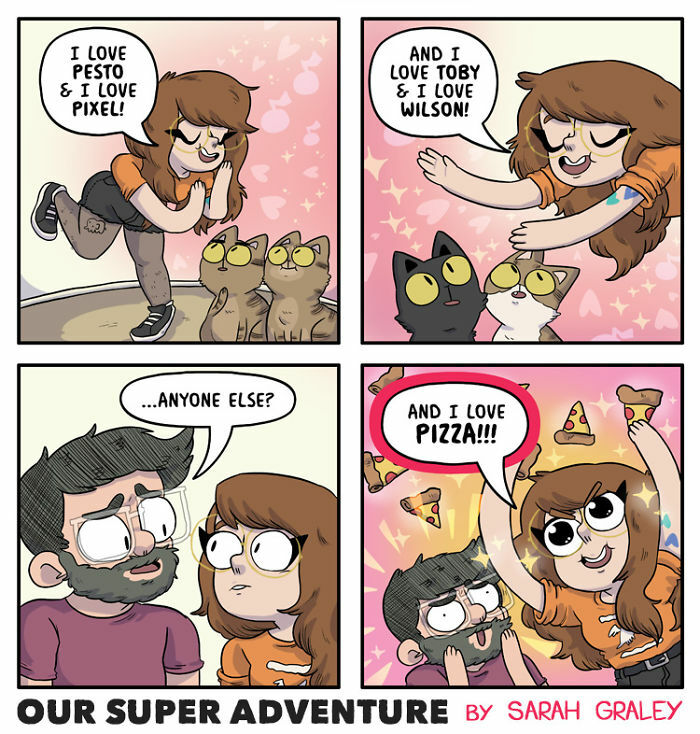 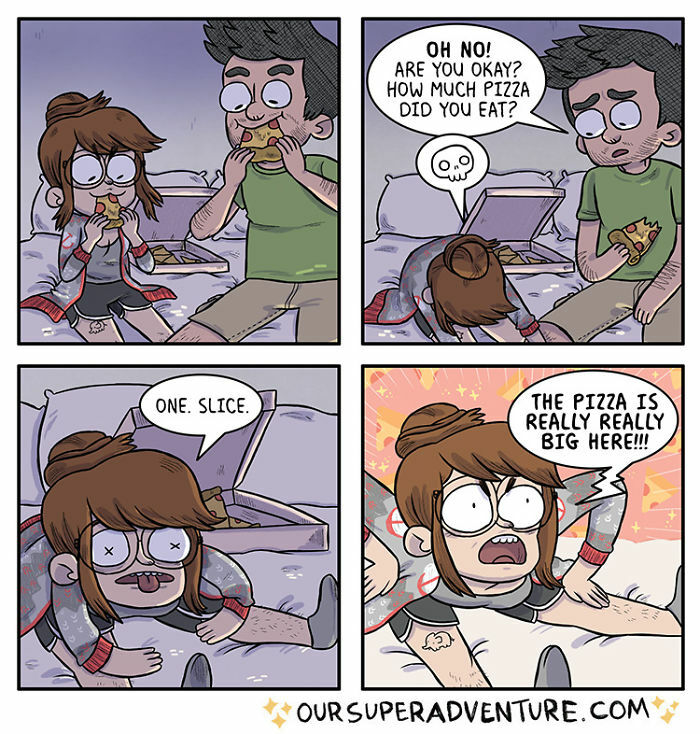 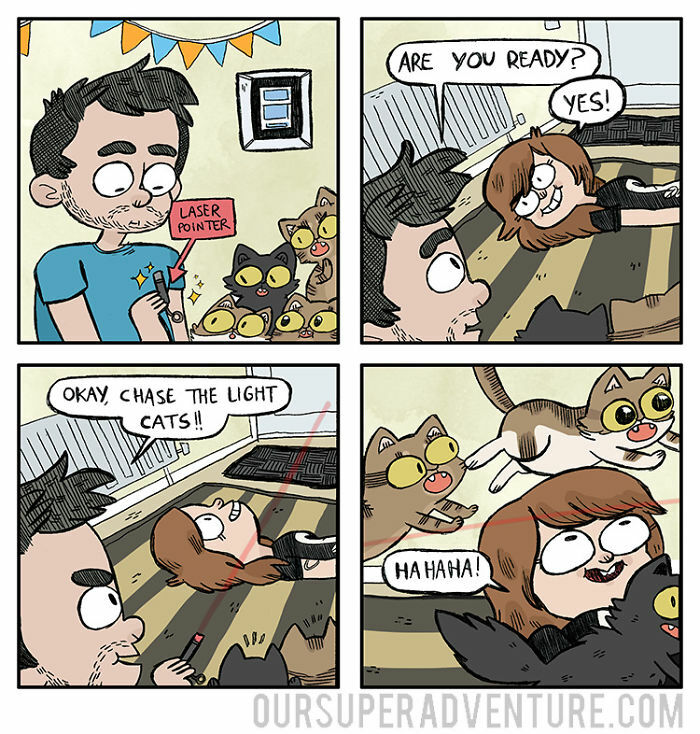 Titled “Our Super Adventure: Press Start To Begin“, it is coming out just as the second ‘Our Super Adventure’ collection, “Video Games and Pizza Parties,” was funded on Kickstarter for a special first edition!